Click here to see the complete information about Collectable Indian Army Ghurka Badge Collection 9264 plus a complete set of Pictures. Click here to see the complete information about Collectable Military Badges Royal Pioneer Related 9330 plus a complete set of Pictures. Click here to see the complete information about Framed and Glazed Collection of Badges 10453 plus a complete set of Pictures. 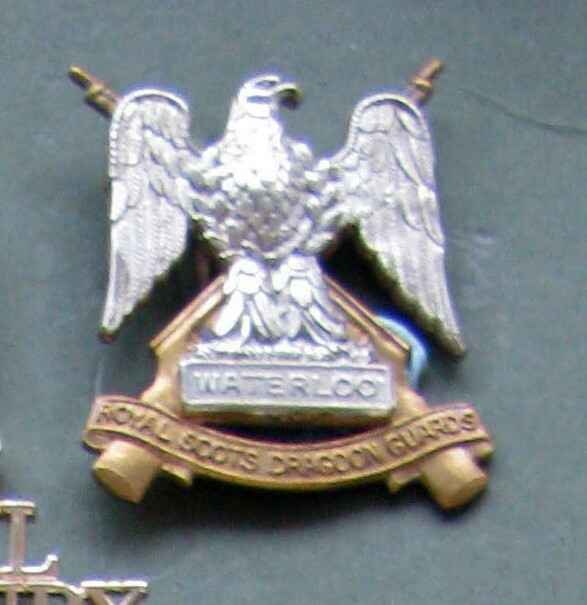 Click here to see the complete information about Collectable British Military Cap Badges 9332 plus a complete set of Pictures. 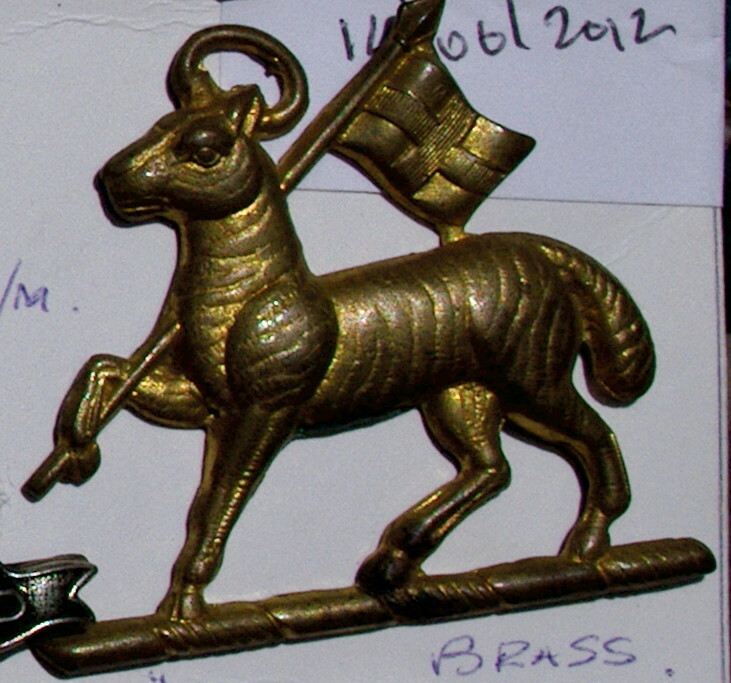 Click here to see the complete information about Collectable Military Cap Badge 10790 plus a complete set of Pictures. Click here to see the complete information about Framed and Glazed Collection of Badges10398 plus a complete set of Pictures. Click here to see the complete information about Framed and Glazed Collection of Badges10397 plus a complete set of Pictures. Click here to see the complete information about Collectable Hallmarked Silver ARP Badge 9176 plus a complete set of Pictures. 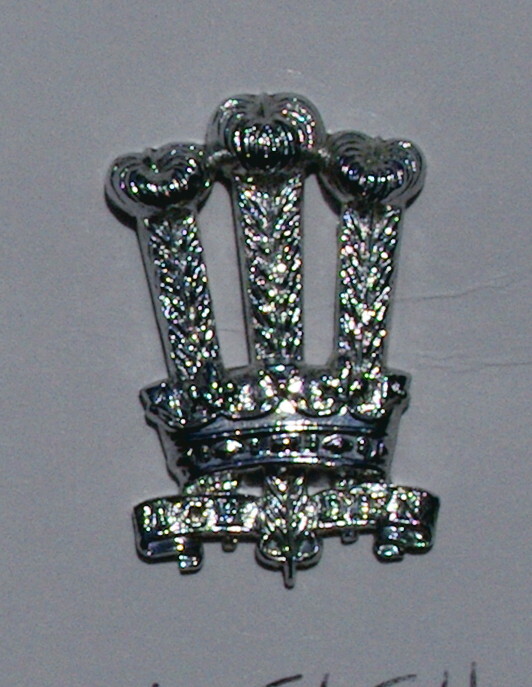 After completion of training ARP volunteers were issued a sterling silver badge. 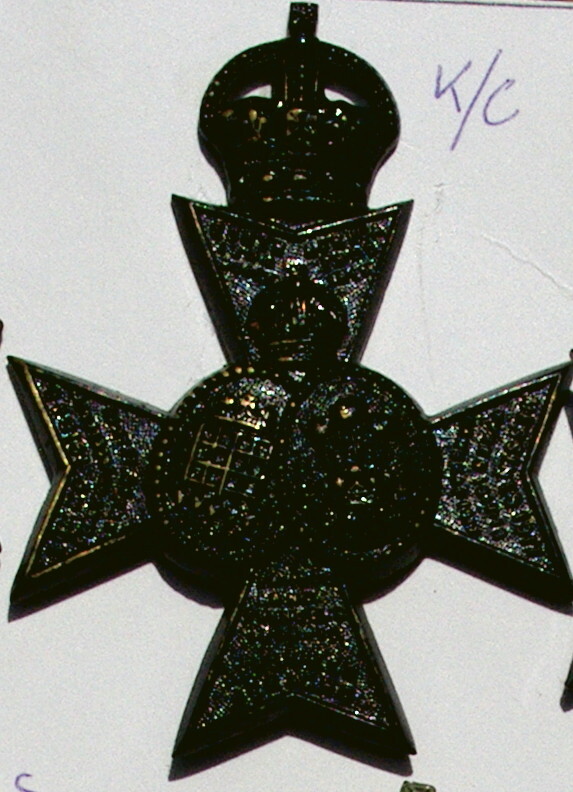 These were issued from December 1937 until 1943 when manufacture ceased. 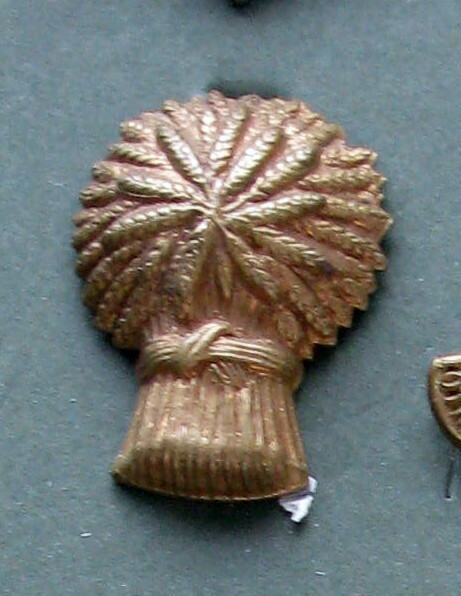 when in uniform, they were allowed to be worn as a cap badge. 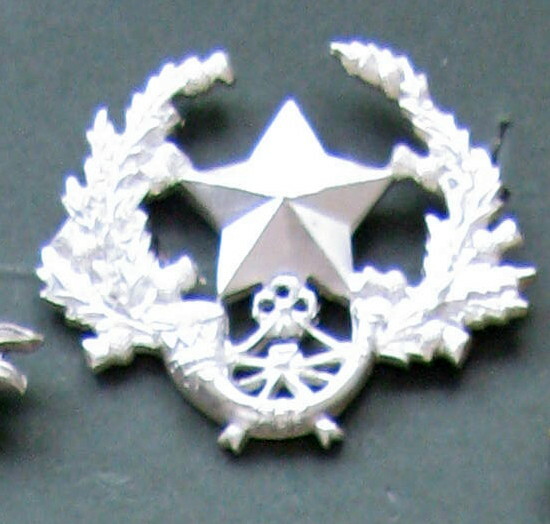 Two types were issued, one with a stud fixing for men and another with a pin fixing for women. Click here to see the complete information about Collectable Hallmarked Silver ARP Badge 9177 plus a complete set of Pictures. Click here to see the complete information about Collection of Vintage Red Cross and Nursing Patches 9363 plus a complete set of Pictures. 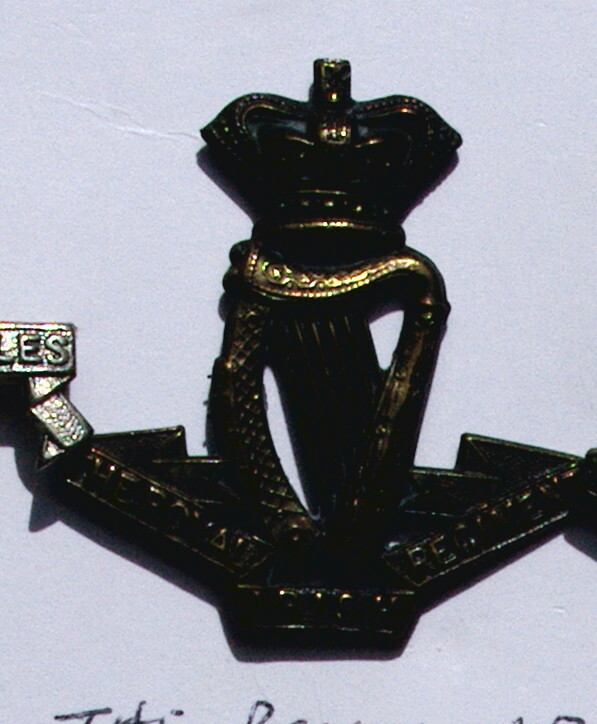 Click here to see the complete information about Collectable Military Cap Badge10788 plus a complete set of Pictures. Click here to see the complete information about Collectable Military Cap Badge 10787 plus a complete set of Pictures. Click here to see the complete information about Collectable British Military Cap Badge 10803 plus a complete set of Pictures. 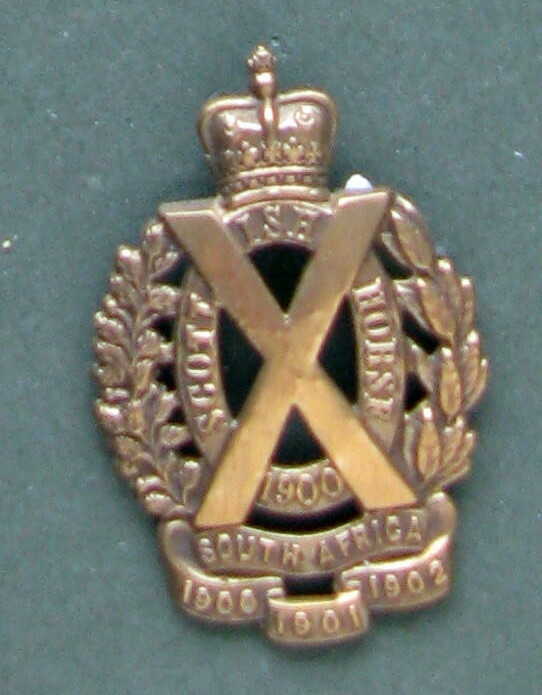 Click here to see the complete information about Collectable Victorian Glengarry Cap Badge 10818 plus a complete set of Pictures. Click here to see the complete information about Collectable British Military Cap Badge 10785 plus a complete set of Pictures. Click here to see the complete information about Collectable British Military Cap Badge 10809 plus a complete set of Pictures. Click here to see the complete information about Collectable British Military Cap Badge 10806 plus a complete set of Pictures. Click here to see the complete information about Collectable British Military Cap Badge 10784 plus a complete set of Pictures. Click here to see the complete information about Collectable British Military Cap Badge 10758 plus a complete set of Pictures. 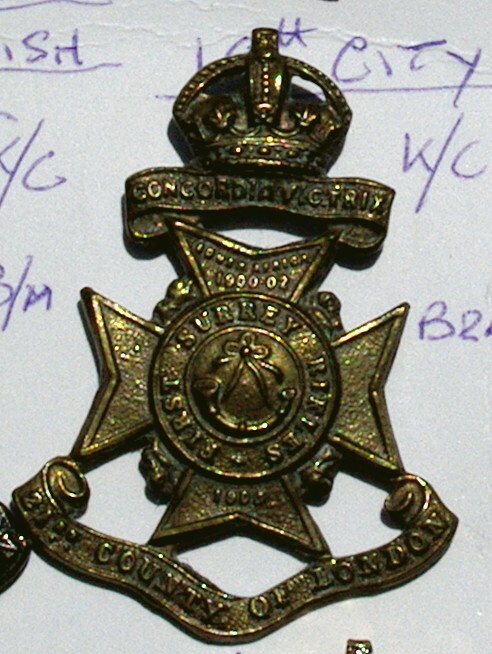 Click here to see the complete information about Collectable Victorian Glengarry Cap Badge 9688 plus a complete set of Pictures. Click here to see the complete information about Collectable British Military Cap Badge 10778 plus a complete set of Pictures. Click here to see the complete information about Collectable British Military Cap Badge 10753 plus a complete set of Pictures. Click here to see the complete information about Collectable British Military Cap Badge 10779 plus a complete set of Pictures. Click here to see the complete information about Collectable British Military Cap Badge 10780 plus a complete set of Pictures. Click here to see the complete information about Collectable British Military Cap Badge 11436 plus a complete set of Pictures. Click here to see the complete information about Collectable British Military Cap Badge 11524 plus a complete set of Pictures. Click here to see the complete information about Collectable British Military Cap Badge11530 plus a complete set of Pictures. Click here to see the complete information about Collectable British Military Cap Badge 11540 plus a complete set of Pictures. 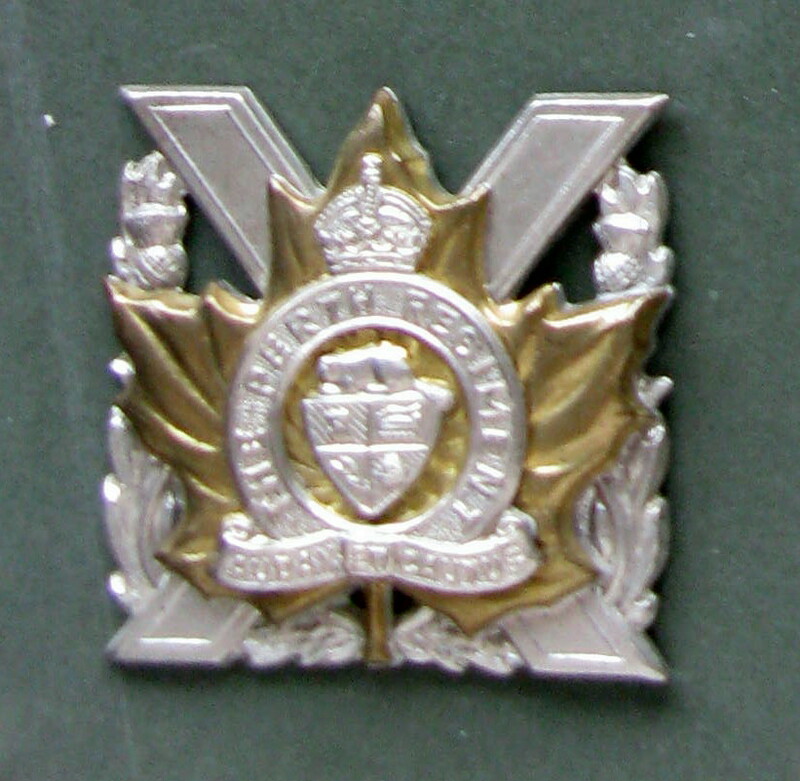 Click here to see the complete information about Collectable Victorian Glengarry Cap Badge 11515 plus a complete set of Pictures. 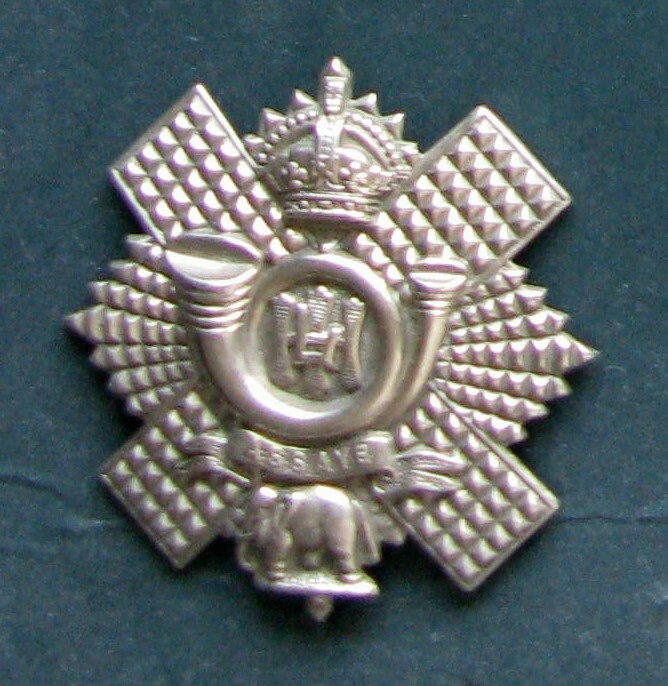 Click here to see the complete information about Collectable British Military Cap Badge 11542 plus a complete set of Pictures. Click here to see the complete information about Collectable British Military Cap Badge 11618 plus a complete set of Pictures. 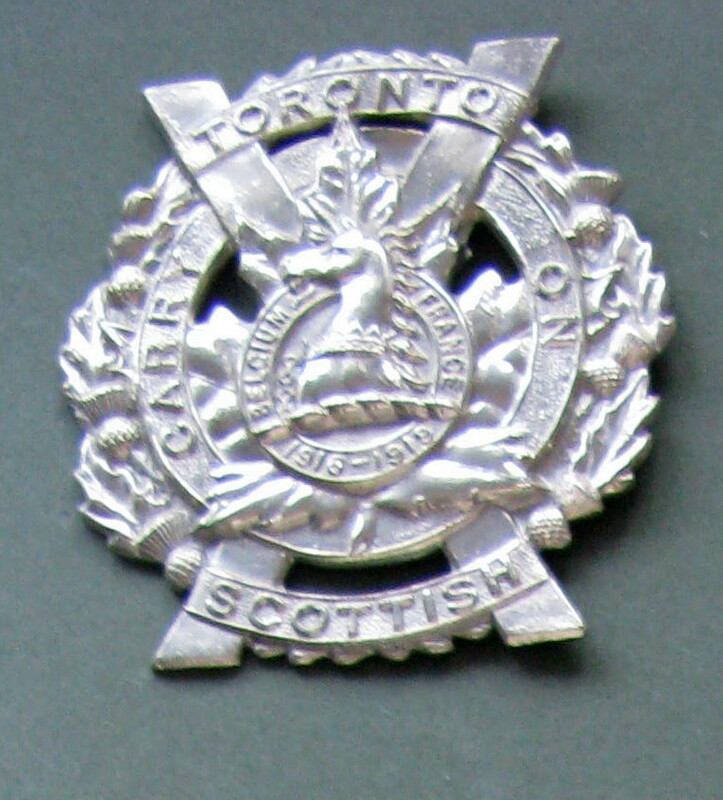 Click here to see the complete information about Collectable Glengarry Cap Badge10840 plus a complete set of Pictures. 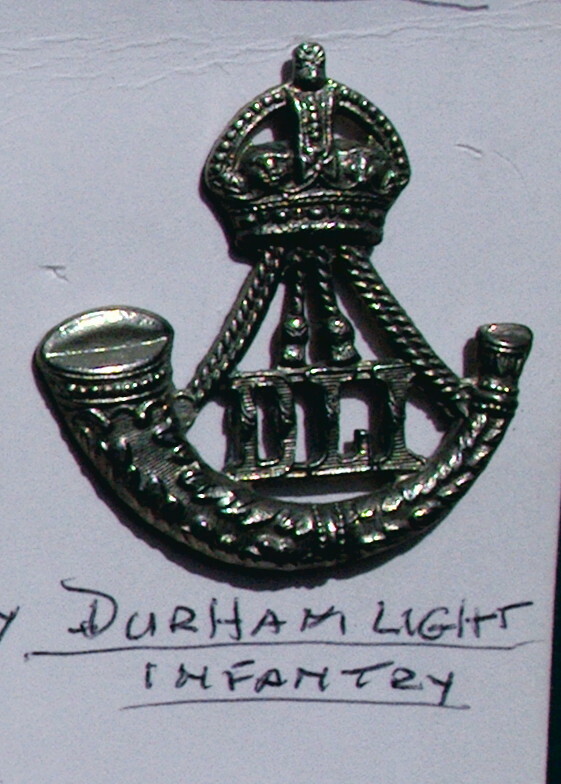 Click here to see the complete information about Collectable Victorian Glengarry Cap Badge 11539 plus a complete set of Pictures. Click here to see the complete information about Collectable British Military Cap Badge 11537 plus a complete set of Pictures. Click here to see the complete information about Collectable British Military Cap Badge 11525 plus a complete set of Pictures. Click here to see the complete information about Collectable British Military Cap Badge 11526 plus a complete set of Pictures. Click here to see the complete information about Collectable Vintage Military Button 9302 plus a complete set of Pictures. 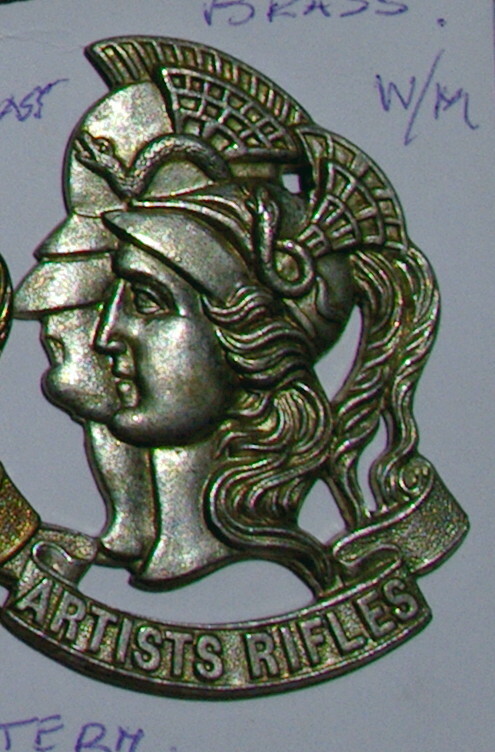 Click here to see the complete information about Collectable Victorian Cap Badge 10178 plus a complete set of Pictures. 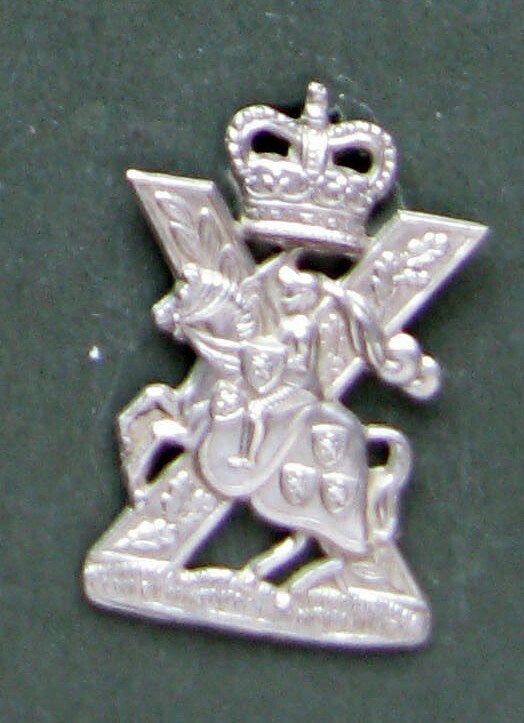 Click here to see the complete information about Collectable British Military Cap Badge Item #10130 plus a complete set of Pictures. Click here to see the complete information about Collectable British Military Cap Badge 10776 plus a complete set of Pictures. Click here to see the complete information about Collectable British Military Cap Badge 10649 plus a complete set of Pictures. 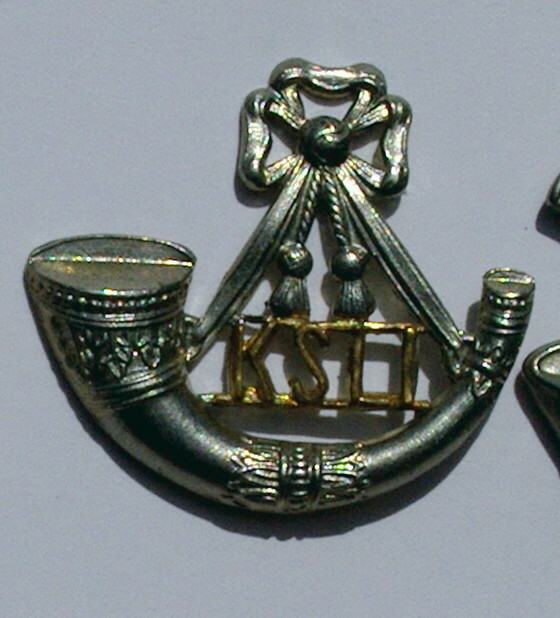 Click here to see the complete information about Collectable British Army Pair of Collar Badges for Army Education Corps9476 plus a complete set of Pictures. Click here to see the complete information about Collectable British Military Cap Badge 10775 plus a complete set of Pictures. Click here to see the complete information about Collectable British Military Cap Badge 10773 plus a complete set of Pictures. Click here to see the complete information about Collectable British Military Cap Badge 10772 plus a complete set of Pictures. Click here to see the complete information about Collectable British Military Cap Badge 10766 plus a complete set of Pictures. Click here to see the complete information about Collectable British Military Cap Badge 11514 plus a complete set of Pictures. 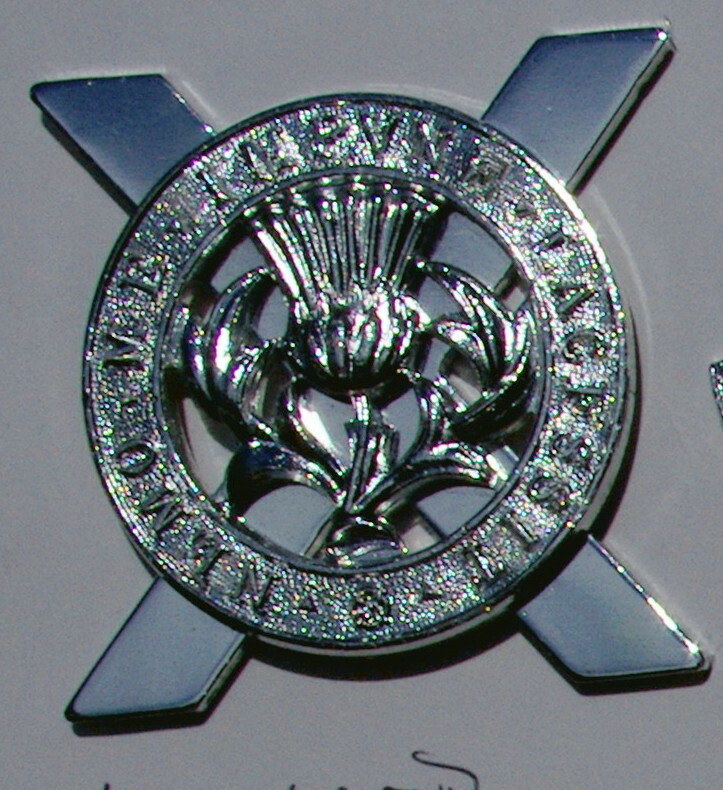 Click here to see the complete information about Collectable British Military Glengarry Badge 10835 plus a complete set of Pictures. Click here to see the complete information about Collectable British Military Collar Badge 10817 plus a complete set of Pictures. 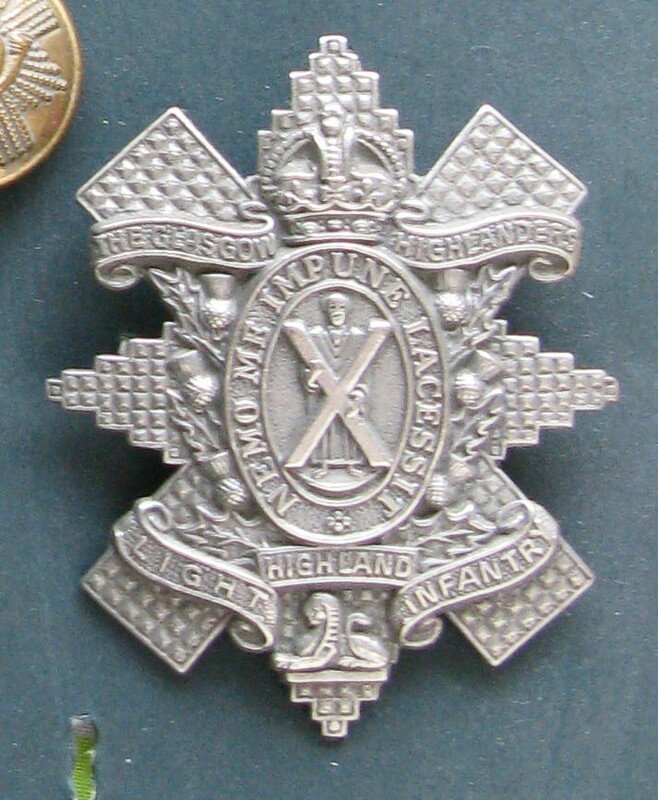 Click here to see the complete information about Collectable British Glengarry Cap Badge 10836 plus a complete set of Pictures. Click here to see the complete information about Collectable British Military Cap Badge 10831 plus a complete set of Pictures. Click here to see the complete information about Collectable British Military Cap Badge 11535 plus a complete set of Pictures. Click here to see the complete information about Collectable British Military Cap Badge10815 plus a complete set of Pictures. Click here to see the complete information about Item #11517 plus a complete set of Pictures. 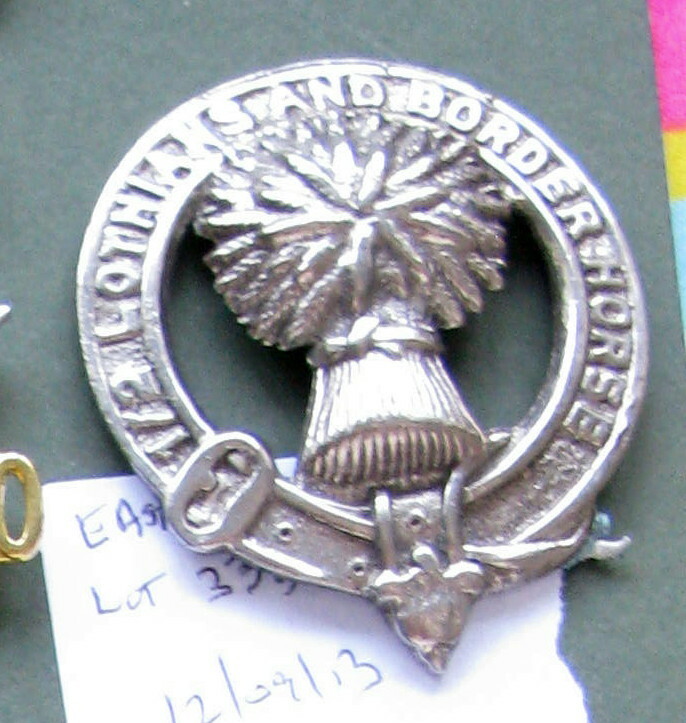 Click here to see the complete information about Collectable Glengarry Cap Badge10838 plus a complete set of Pictures. Click here to see the complete information about Collectable British Military Cap Badge 10837 plus a complete set of Pictures. Click here to see the complete information about Collectable British Military Cap Badge 10834 plus a complete set of Pictures. Click here to see the complete information about Collectable British Military Cap Badge 10696 plus a complete set of Pictures. Click here to see the complete information about Victorian Capbadge Connaught Ranger 10656 plus a complete set of Pictures. Click here to see the complete information about Collectable Pair Military Collar badges 10129 plus a complete set of Pictures. Click here to see the complete information about Collectable British Military Cap Badge 10811 plus a complete set of Pictures. Click here to see the complete information about Collectable British Military Cap Badge 10762 plus a complete set of Pictures. Click here to see the complete information about Collectable Vintage Military Collar Badges 9269 plus a complete set of Pictures. Click here to see the complete information about Item #10794 plus a complete set of Pictures. Click here to see the complete information about Collectable British Military Cap Badge10764 plus a complete set of Pictures. 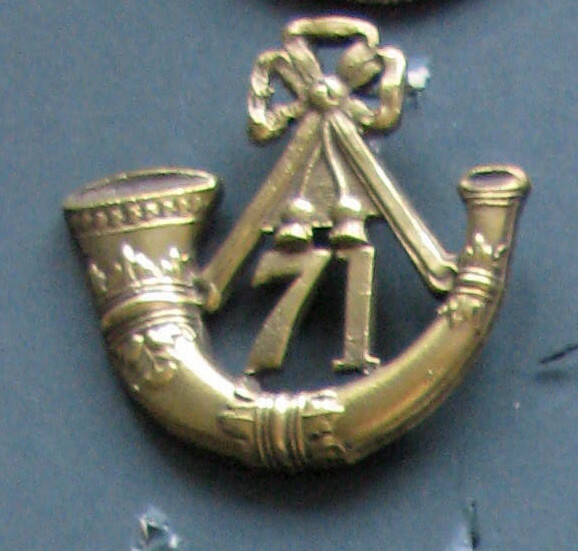 Click here to see the complete information about Collectable British Military Cap Badge10777 plus a complete set of Pictures. Click here to see the complete information about Collectable British Military Cap Badge 10771 plus a complete set of Pictures. 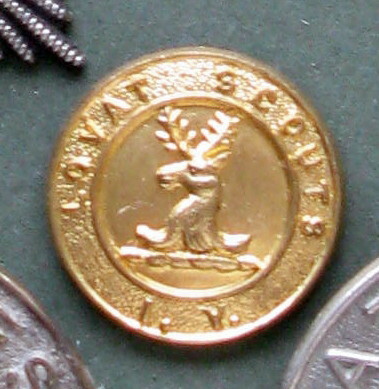 SCOTTISH - GORDON HIGHLANDERS SPORRAN BADGE. Click here to see the complete information about Collectable British Badge 11523 plus a complete set of Pictures. Click here to see the complete information about Collectable British Military Cap Badge 11529 plus a complete set of Pictures. Click here to see the complete information about Collectable British Military Cap Badge 11527 plus a complete set of Pictures. 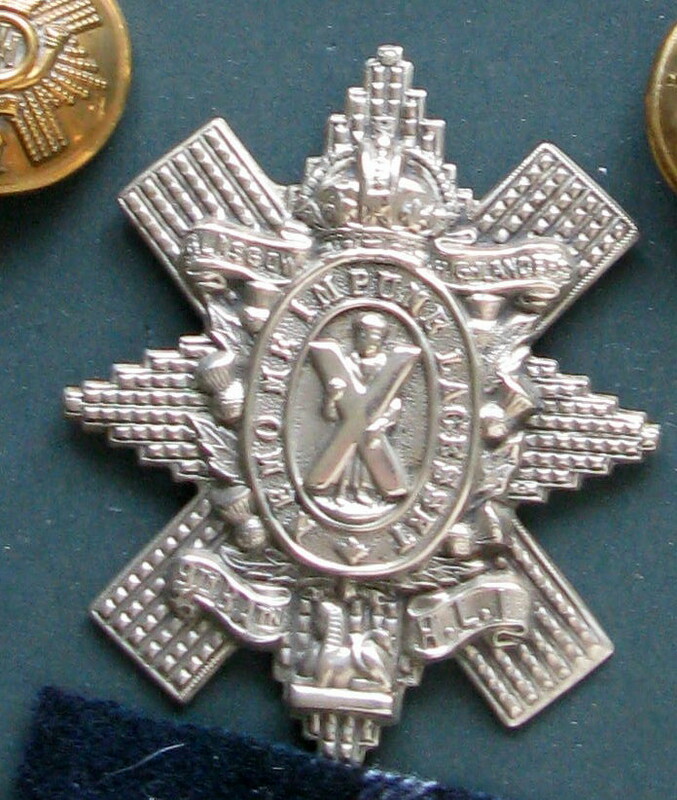 Click here to see the complete information about Collectable Victorian Glengarry Cap Badge 11520 plus a complete set of Pictures. Click here to see the complete information about Collectable British Military Cap Badge #11470 plus a complete set of Pictures. Click here to see the complete information about Collectable British Military Cap Badge 11531 plus a complete set of Pictures. Click here to see the complete information about Collectable British Military Cap Badge 11446 plus a complete set of Pictures. Click here to see the complete information about Collectable British Military Cap Badge 11454 plus a complete set of Pictures. Click here to see the complete information about Collectable British Military Cap Badge 11522 plus a complete set of Pictures. Click here to see the complete information about Collectable British Military Cap Badge 11548 plus a complete set of Pictures. Click here to see the complete information about Collectable Vintage Military Button 11575 plus a complete set of Pictures. 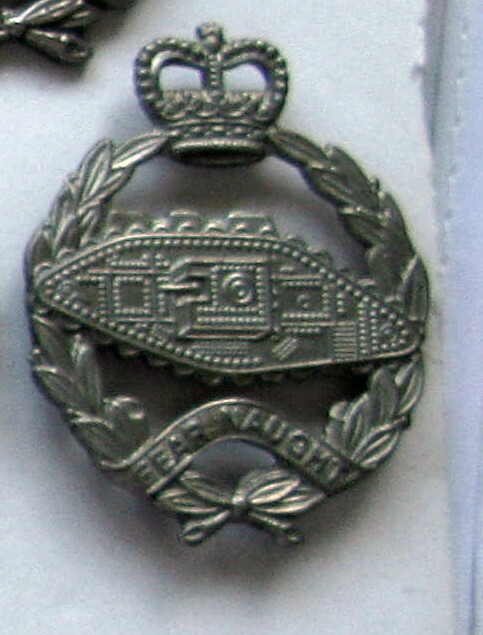 A TANKCORPS BADGE WITHIN A LAUREL-WREATH DESIGNED AN IMPERIAL CROWN BELOW THE TANK AT THE BOTTOM OF THE WREATH A SCROLL INSCRIBED FEAR NAUGHT. TANK FACING RIGHT CIRC 1924. Click here to see the complete information about Collectable British Military Badge 11656 plus a complete set of Pictures. Click here to see the complete information about Collectable British Military Cap Badge11437 plus a complete set of Pictures. Click here to see the complete information about Collectable British Military Cap Badge 11568 plus a complete set of Pictures. Click here to see the complete information about Collectable British Military Cap Badge 11546 plus a complete set of Pictures. Click here to see the complete information about Collectable British Military Cap Badge 11543 plus a complete set of Pictures. Click here to see the complete information about Collectable British Military Cap Badge 11544 plus a complete set of Pictures. 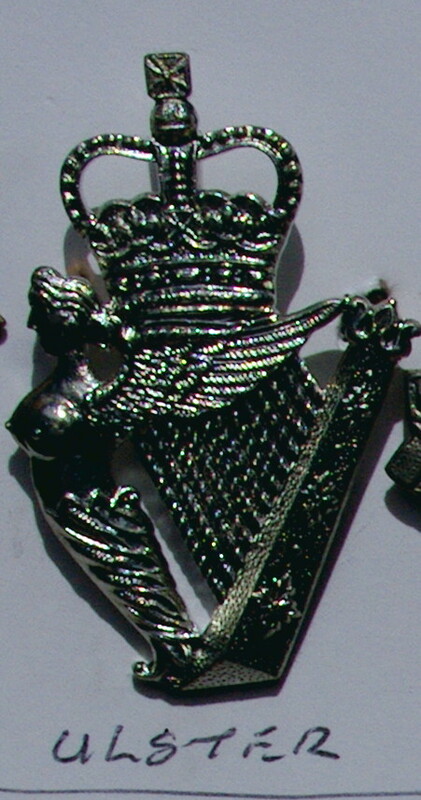 Click here to see the complete information about Collectable British Military Cap Badge 11545 plus a complete set of Pictures. Click here to see the complete information about Collectable British Military Cap Badge 11536 plus a complete set of Pictures. Click here to see the complete information about Item #10676 plus a complete set of Pictures. THE TOP SCROLL INSCRIBED H.A.C SURMOUNTED BY A IMPERIAL CROWN. BELOW INSCRIBED ARMA PACIS FULCRA. COMPLETE WITH SLIDDER TO THE REAR. 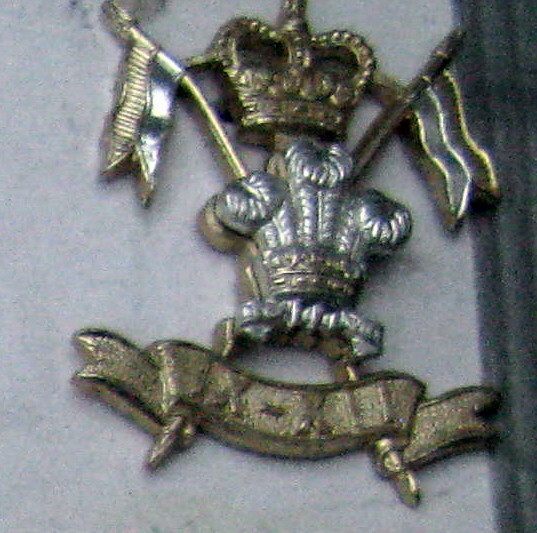 Click here to see the complete information about Collectable British Military Cap Badge 10652 plus a complete set of Pictures. 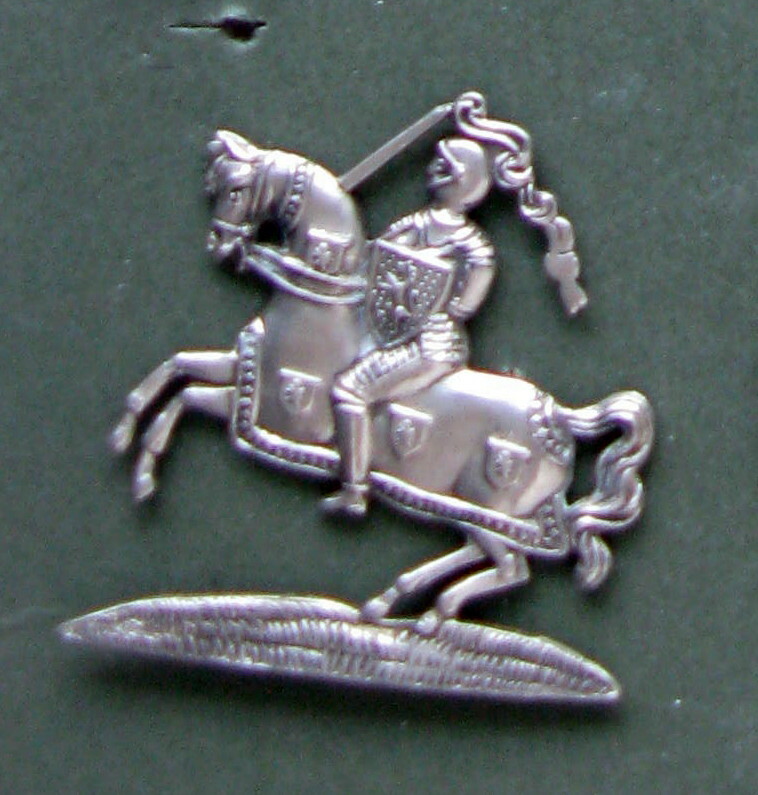 Click here to see the complete information about Collectable British Military Collar Badge 10660 plus a complete set of Pictures. Click here to see the complete information about Collectable British Military Cap Badge 10674 plus a complete set of Pictures. 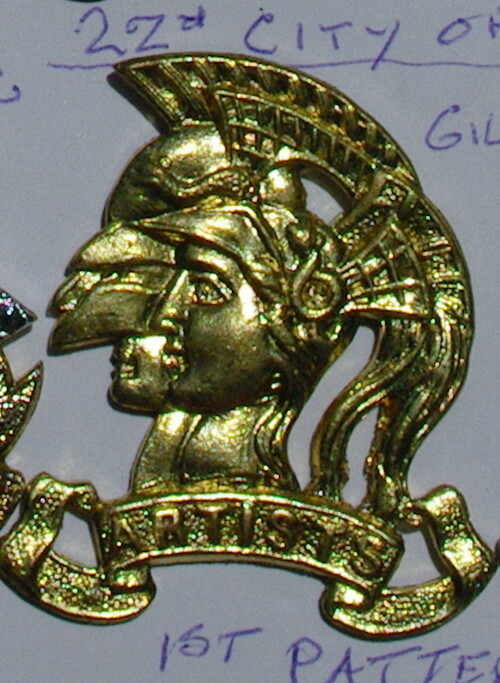 Click here to see the complete information about Collectable Glengarry Cap Badge 10648 plus a complete set of Pictures. Click here to see the complete information about Collectable British Military Cap Badge 10374 plus a complete set of Pictures. 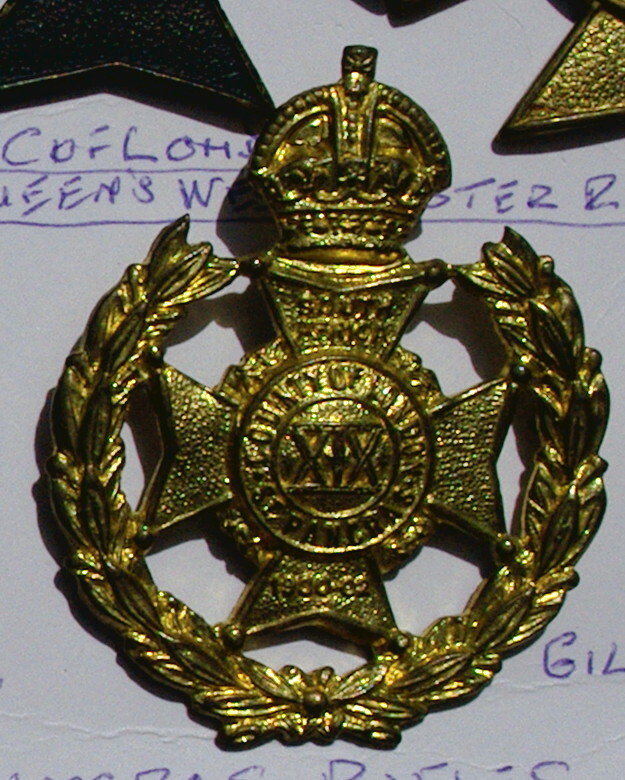 Click here to see the complete information about Collectable British Military Cap Badge 10745 plus a complete set of Pictures. Click here to see the complete information about Vintage Identity Discs/Dog Tags 9532 plus a complete set of Pictures. Click here to see the complete information about Collectable Vintage Military Button 10072 plus a complete set of Pictures. 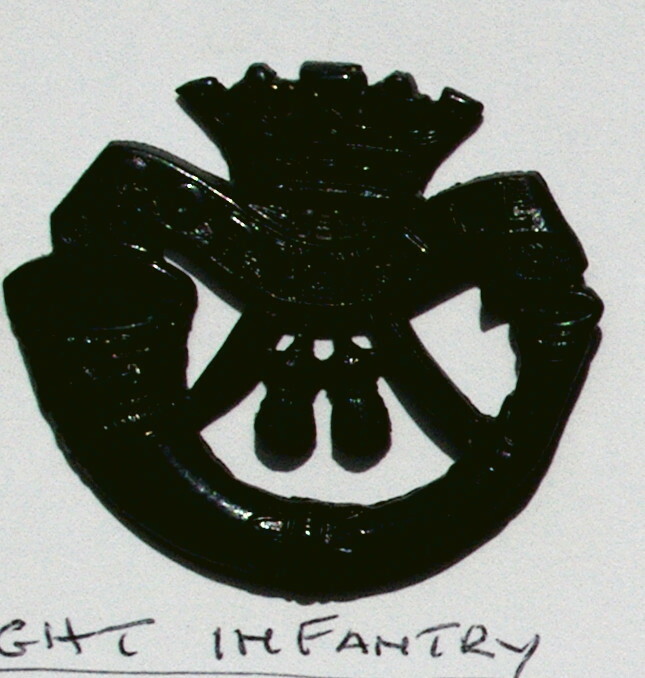 Click here to see the complete information about Collectable British Military Cap Badge 10675 plus a complete set of Pictures. 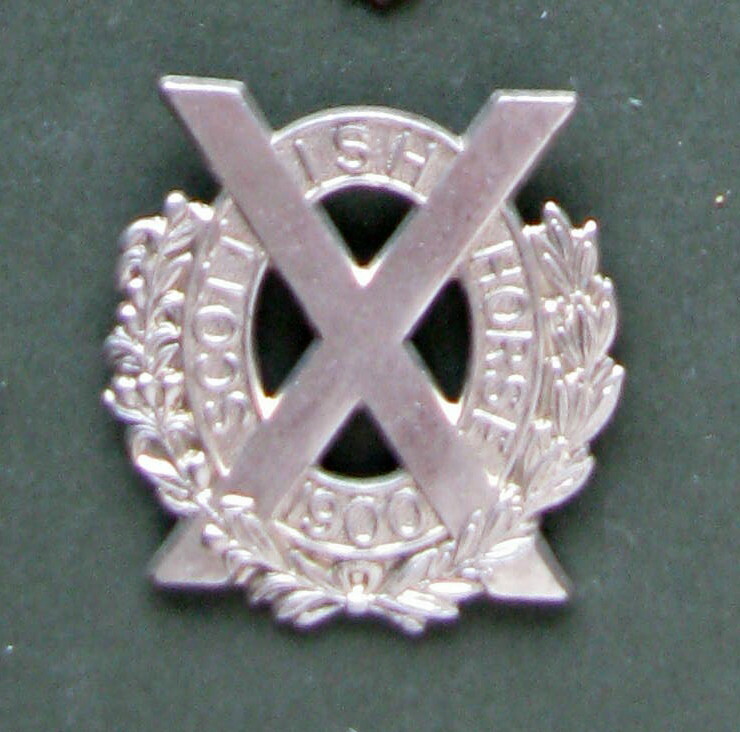 Click here to see the complete information about Collectable Victorian Glengarry Cap Badge 10650 plus a complete set of Pictures. Click here to see the complete information about Collectable British Military Cap Badge10701 plus a complete set of Pictures. Click here to see the complete information about Collectable Military Shoulder Title 10720 plus a complete set of Pictures. Click here to see the complete information about Collectable British Military Cap Badge 10739 plus a complete set of Pictures. Click here to see the complete information about Collectable British Military Cap Badge 10695 plus a complete set of Pictures. 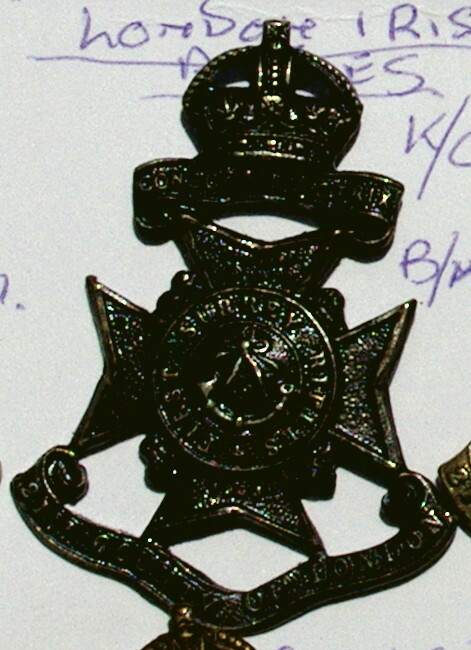 Click here to see the complete information about Collectable British Military Cap Badge 10741 plus a complete set of Pictures. Click here to see the complete information about Collectable British Military Cap Badge 10677 plus a complete set of Pictures. Click here to see the complete information about Collectable British Military Cap Badge 10678 plus a complete set of Pictures. Click here to see the complete information about Collectable British Military Cap Badge 10680 plus a complete set of Pictures. 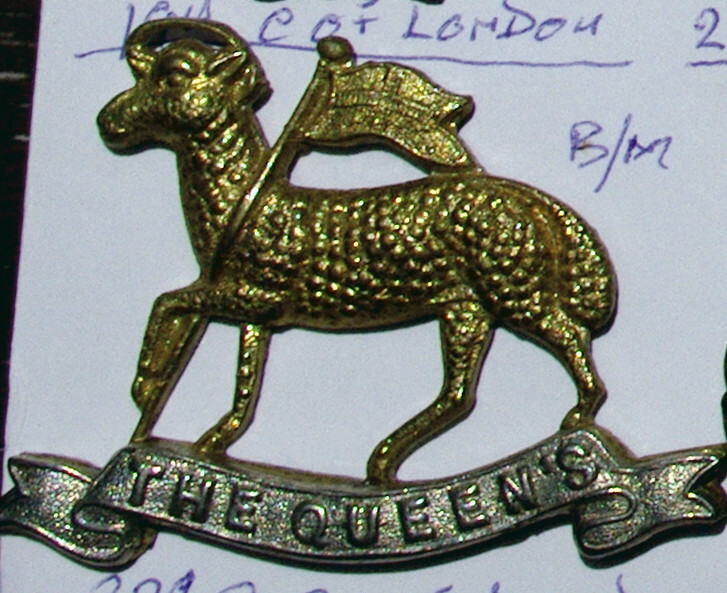 Click here to see the complete information about Collectable British Military Badge 9393 plus a complete set of Pictures. Click here to see the complete information about Collectable British Military Cap Badge10293 plus a complete set of Pictures. Click here to see the complete information about Collectable British Military Cap Badge 10700 plus a complete set of Pictures. Click here to see the complete information about Collectable British Military Cap Badge 10692 plus a complete set of Pictures. Click here to see the complete information about Collectable British Military Cap Badge 10691 plus a complete set of Pictures. Click here to see the complete information about Collectable British Military Cap Badge 10833 plus a complete set of Pictures. Click here to see the complete information about Collectable British Military Cap Badge 10291 plus a complete set of Pictures. Click here to see the complete information about Collectable British Military Cap Badge 11465 plus a complete set of Pictures. 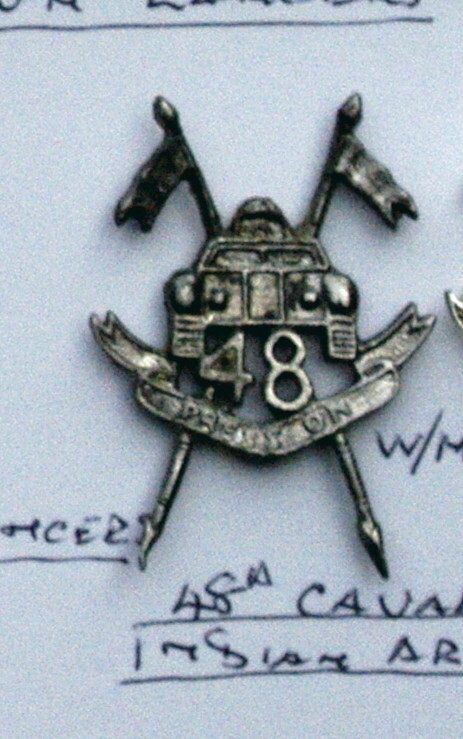 Click here to see the complete information about Collectable British Military Cap Badge 11447 plus a complete set of Pictures. Click here to see the complete information about Collectable British Military Badge 11441 plus a complete set of Pictures. Click here to see the complete information about Collectable British Military Badge 11622 plus a complete set of Pictures. Click here to see the complete information about Collectable British Military Cap Badge 11439 plus a complete set of Pictures. Click here to see the complete information about Collectable British Military Cap Badge 10012 plus a complete set of Pictures. Click here to see the complete information about Collectable British Military Cap Badge 9755 plus a complete set of Pictures. Click here to see the complete information about Collectable British Military Cap Badge 10059 plus a complete set of Pictures. Click here to see the complete information about Collectable British Military Cap Badge 10015 plus a complete set of Pictures. Click here to see the complete information about Collectable British Military Cap Badge 10011 plus a complete set of Pictures. Click here to see the complete information about Collectable British Military Cap Badge 10060 plus a complete set of Pictures. Click here to see the complete information about Collectable British Military Cap Badge 10019 plus a complete set of Pictures. Click here to see the complete information about Collectable British Military Cap Badge 10022 plus a complete set of Pictures. 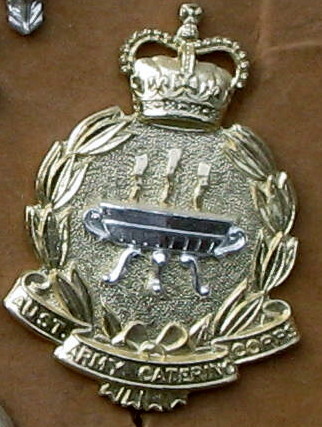 Click here to see the complete information about Collectable British Military Forage Cap Badge 10020 plus a complete set of Pictures. Click here to see the complete information about Item #10663 plus a complete set of Pictures. Click here to see the complete information about Collectable British Military Cap Badge 10679 plus a complete set of Pictures. Click here to see the complete information about Collectable British Military Cap Badge10693 plus a complete set of Pictures. Click here to see the complete information about Collectable British Military Cap Badge 10697 plus a complete set of Pictures. 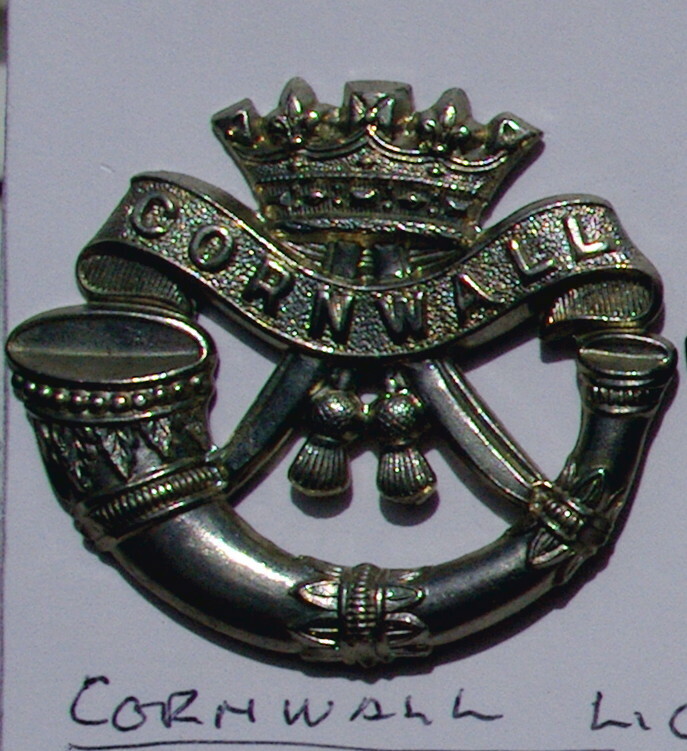 Click here to see the complete information about Collectable British Military Cap Badge 10653 plus a complete set of Pictures. 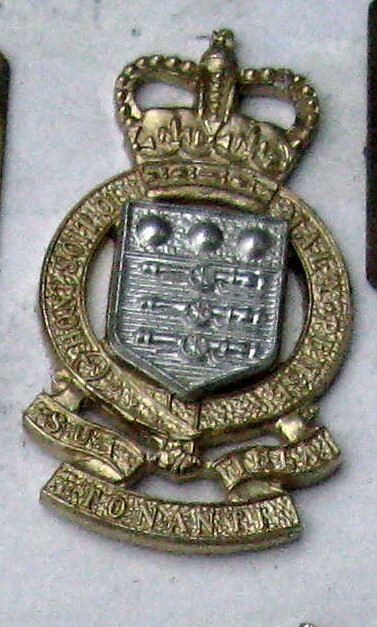 KENT VOLUNTEER FORCE CAP BADGE.WHITE METAL INVICTA With Slider. Click here to see the complete information about Collectable British Military Cap Badge 10698 plus a complete set of Pictures. Click here to see the complete information about Collectable British Military Cap Badge 10694 plus a complete set of Pictures. Click here to see the complete information about Collectable British Military Cap Badge 10189 plus a complete set of Pictures. Click here to see the complete information about Collectable Victorian Cap Badge 10138 plus a complete set of Pictures. Click here to see the complete information about Collectable British Military Cap Badge 10095 plus a complete set of Pictures. Click here to see the complete information about Collectable British Military Cap Badge 10712 plus a complete set of Pictures. 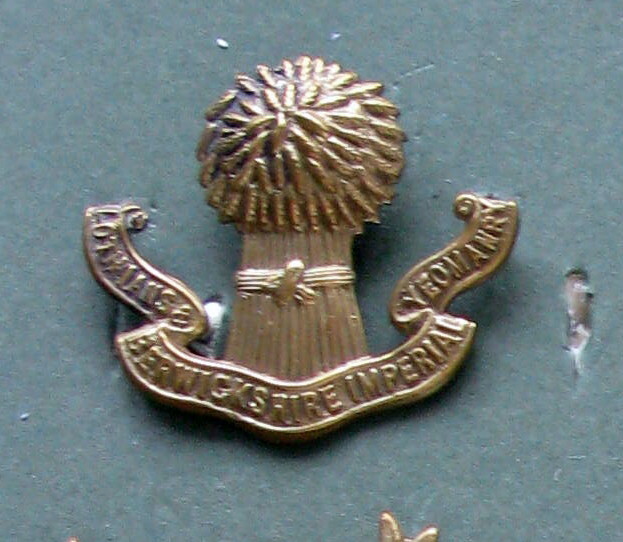 This is a Suffolk Regiment Bi Metal Cap Badge With Original Fixing. 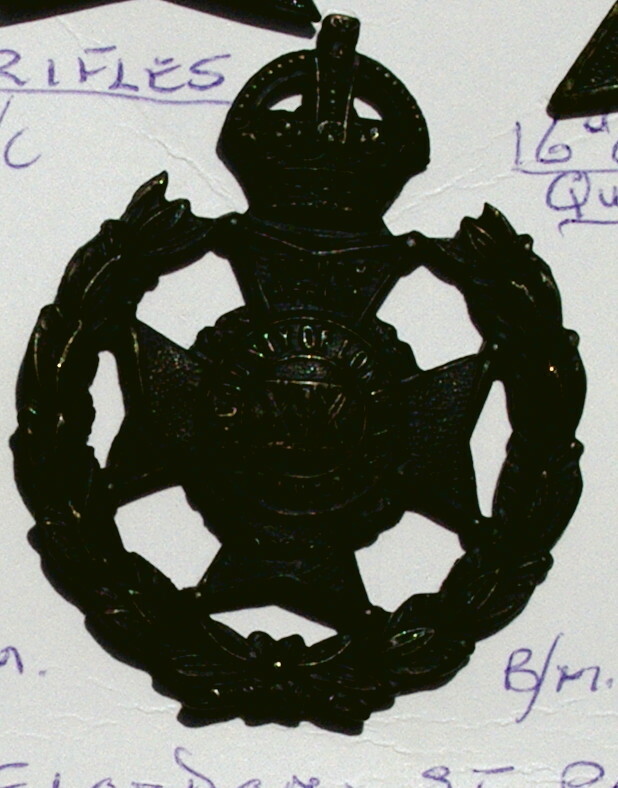 Click here to see the complete information about ICollectable British Military Cap Badge 10294 plus a complete set of Pictures. Click here to see the complete information about Collectable British Military Cap Badge10378 plus a complete set of Pictures. Click here to see the complete information about Collectable British Military Cap Badge 10321 plus a complete set of Pictures. 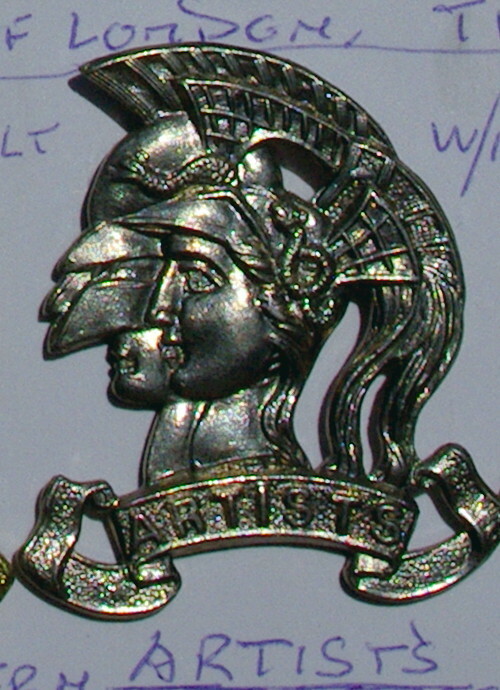 Click here to see the complete information about Collectable British Military Cap Badge 10651 plus a complete set of Pictures. 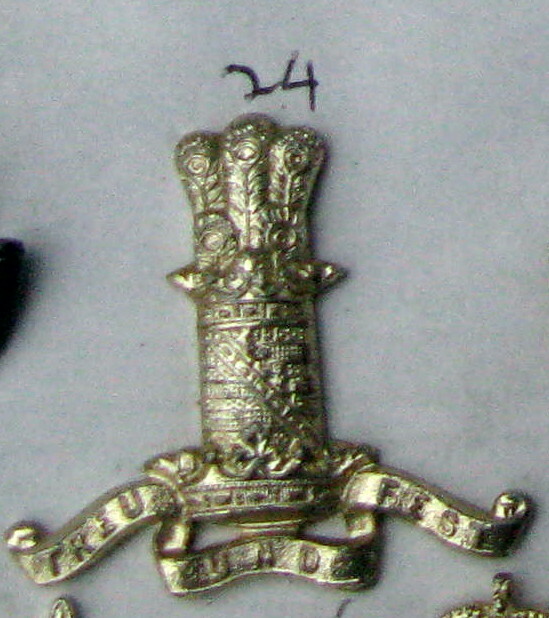 Click here to see the complete information about Collectable British Military Cap Badge 11440 plus a complete set of Pictures. Click here to see the complete information about Collectable British Military Cap Badge,11569 plus a complete set of Pictures. Click here to see the complete information about Collectable British Military Cap Badge 11559 plus a complete set of Pictures. Click here to see the complete information about Collectable British Military Cap Badge #11570 plus a complete set of Pictures. Click here to see the complete information about Collectable British Military Badge #11574 plus a complete set of Pictures. Click here to see the complete information about Collectable British Military Badge 11624 plus a complete set of Pictures. Click here to see the complete information about Collectable British Military Cap Badge 11619 plus a complete set of Pictures. Click here to see the complete information about Collectable Vintage Military Button11555 plus a complete set of Pictures. Click here to see the complete information about Collectable British Military Cap Badge 11469 plus a complete set of Pictures. Click here to see the complete information about Collectable British Military Cap Badge 10719 plus a complete set of Pictures. Click here to see the complete information about Collectable British Military Cap Badge 10718 plus a complete set of Pictures. Click here to see the complete information about Collectable British Military Cap Badge 10824 plus a complete set of Pictures. Click here to see the complete information about Collectable British Military Cap Badge 11438 plus a complete set of Pictures. Click here to see the complete information about Collectable British Military Cap Badge 11467 plus a complete set of Pictures. Click here to see the complete information about Collectable British Military Cap Badge 11466 plus a complete set of Pictures. Click here to see the complete information about Collectable British Military Cap Badge10092 plus a complete set of Pictures. Click here to see the complete information about Collectable British Military Cap Badge 10716 plus a complete set of Pictures. Click here to see the complete information about Collectable British Military Cap Badge 9719 plus a complete set of Pictures. Click here to see the complete information about Collectable British Military Cap Badge 9479 plus a complete set of Pictures. Click here to see the complete information about Collectable British Military Cap Badge 9720 plus a complete set of Pictures. 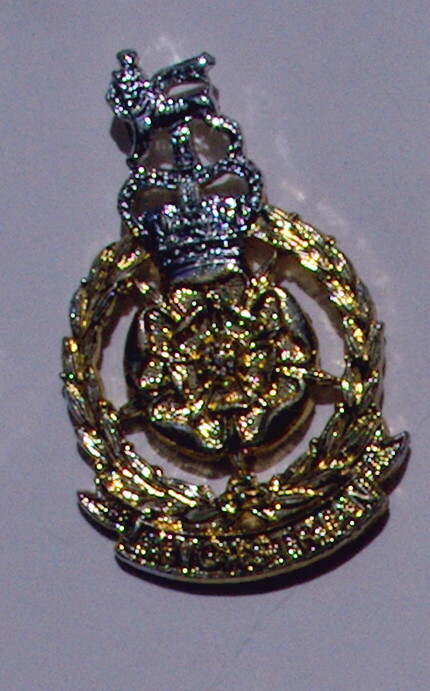 Click here to see the complete information about Collectable British Military Cap Badge 9998 plus a complete set of Pictures. Click here to see the complete information about Collectable British Military Cap Badge 10013 plus a complete set of Pictures. Click here to see the complete information about Collectable British Military Badge 9999 plus a complete set of Pictures. Click here to see the complete information about Collectable British Military Badge 9417 plus a complete set of Pictures. Click here to see the complete information about Collectable Vintage Military Button 9305 plus a complete set of Pictures. Click here to see the complete information about Collectable British Military Cap Badge 11472 plus a complete set of Pictures. 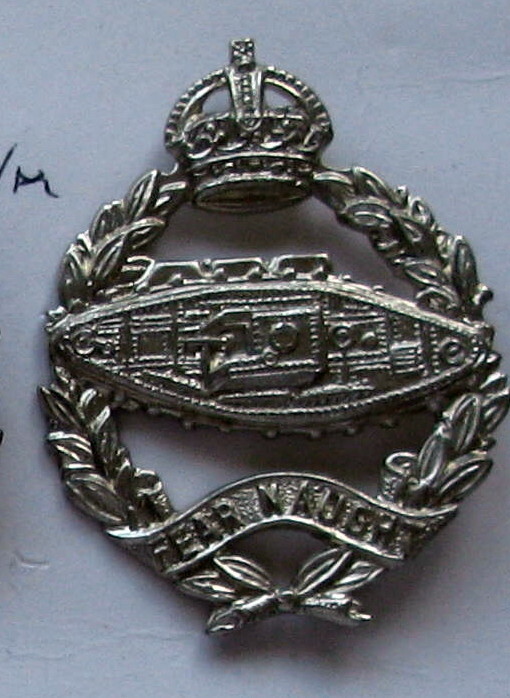 Click here to see the complete information about Collectable British Military Collar Badge 10091 plus a complete set of Pictures. Click here to see the complete information about Item #7785 plus a complete set of Pictures. Click here to see the complete information about Collectable British Military Cap Badge 8758 plus a complete set of Pictures. 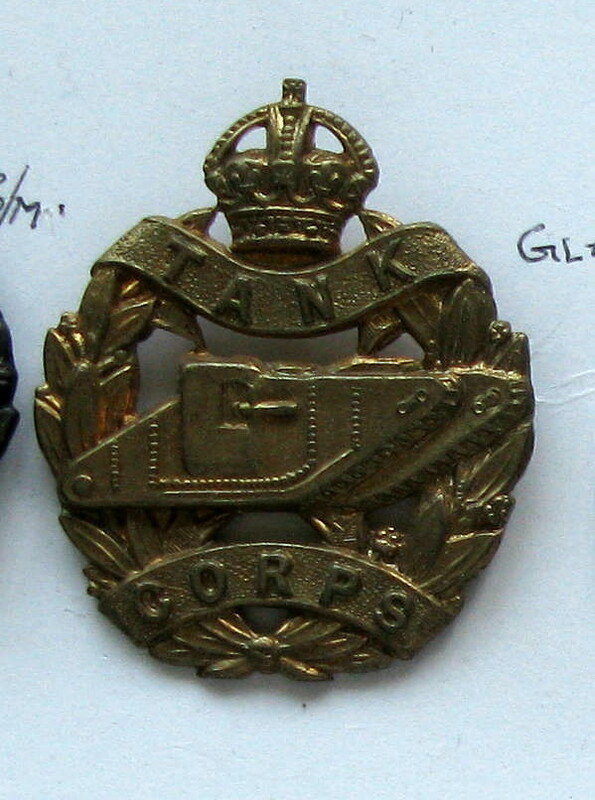 Click here to see the complete information about Collectable British Military Cap Badge Tank Corps 9182 plus a complete set of Pictures. 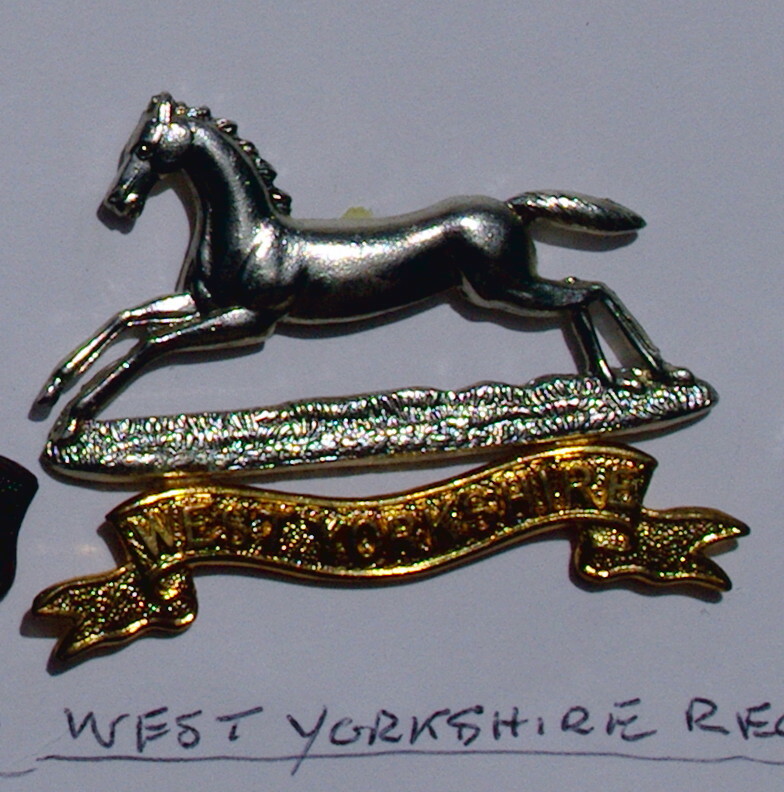 Click here to see the complete information about Collectable Pair British Military Collar Badges 9038 plus a complete set of Pictures. Click here to see the complete information about Collectable British Military Cap Badge 10018 plus a complete set of Pictures. 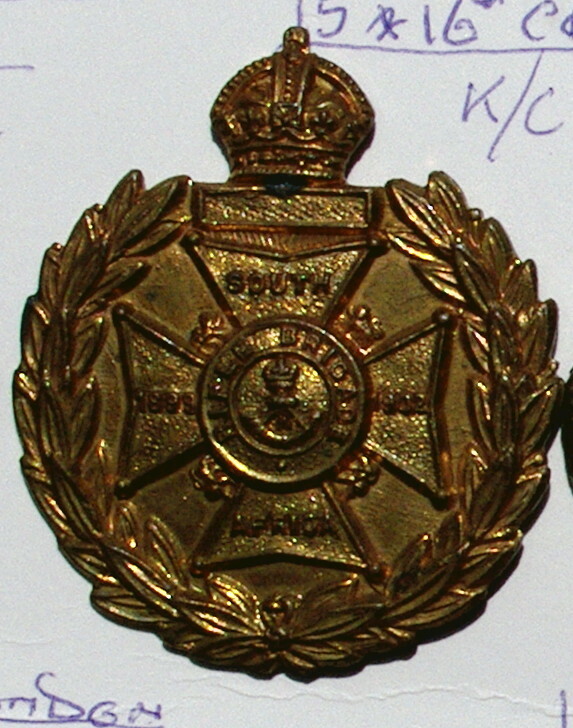 Click here to see the complete information about Collectable Vintage Indian Army Badge 9496 plus a complete set of Pictures. Click here to see the complete information about Collectable British Military Badge 10080 plus a complete set of Pictures. Click here to see the complete information about Collectable British Military Cap Badge 10073 plus a complete set of Pictures. Click here to see the complete information about Collectable British Military Cap Badge 10067 plus a complete set of Pictures. Click here to see the complete information about Collectable British Military Cap Badge 10086 plus a complete set of Pictures. Click here to see the complete information about Collectable British Military Cap Badge 10088 plus a complete set of Pictures. Click here to see the complete information about Collectable British Military Cap Badge 10090 plus a complete set of Pictures. Click here to see the complete information about Collectable British Military Forage Cap Badge 10021 plus a complete set of Pictures. Click here to see the complete information about Collectable British Military Cap Badge 10066 plus a complete set of Pictures. 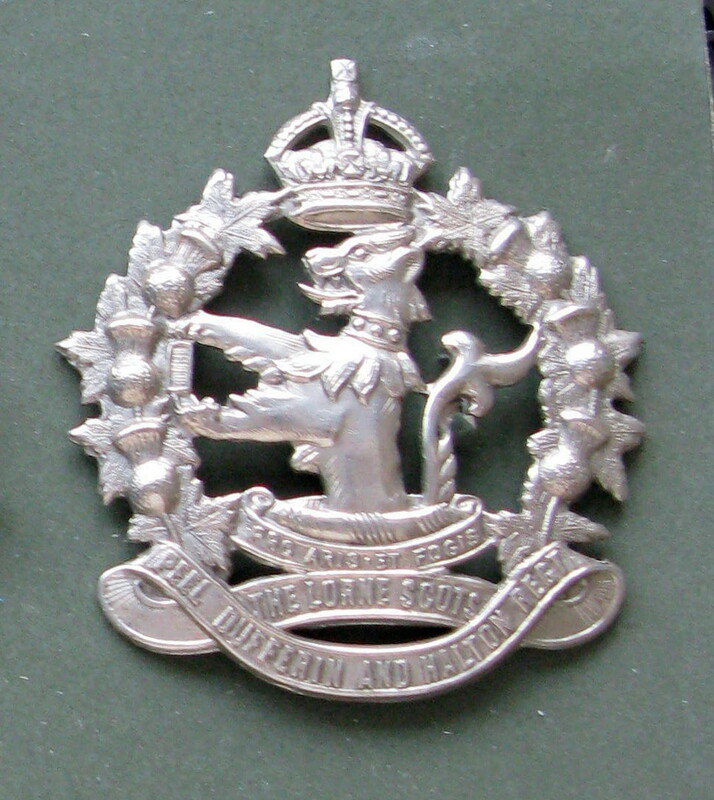 Click here to see the complete information about Collectable British Military Collar Badge 10089 plus a complete set of Pictures. Click here to see the complete information about Collectable British Military Cap Badge 10053 plus a complete set of Pictures. Click here to see the complete information about Collectable British Military Cap Badge 10064 plus a complete set of Pictures. Click here to see the complete information about Collectable British Military Cap Badge 10054 plus a complete set of Pictures. Click here to see the complete information about Collectable British Military Cap Badge 10051 plus a complete set of Pictures. Click here to see the complete information about Collectable British Military Cap Badge 10057 plus a complete set of Pictures. Click here to see the complete information about Collectable British Military Cap Badge 10062 plus a complete set of Pictures. Click here to see the complete information about Collectable British Military Cap Badge 10737 plus a complete set of Pictures. 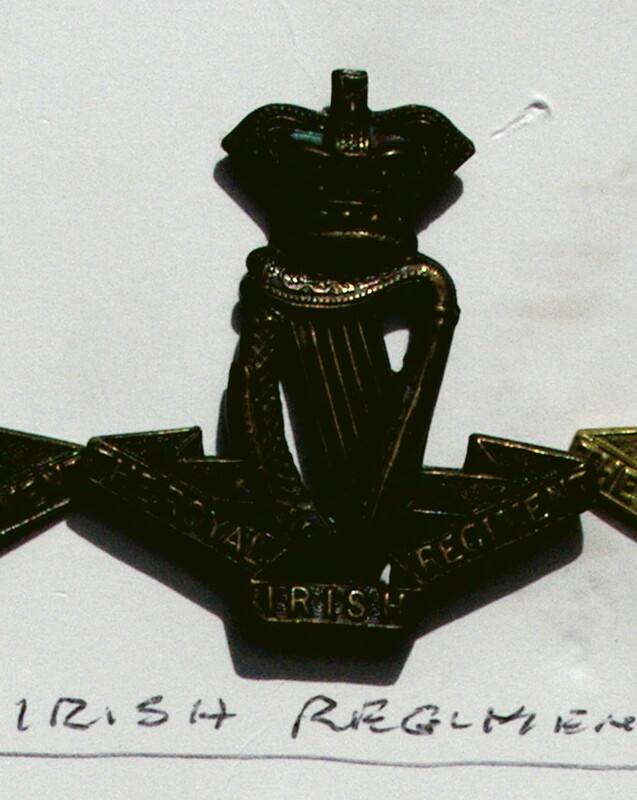 Click here to see the complete information about Collectable Military Cap Badge 10786 plus a complete set of Pictures. Click here to see the complete information about Collectable British Military Cap Badge 10377 plus a complete set of Pictures. Click here to see the complete information about Collectable British Military Cap Badge 10375 plus a complete set of Pictures. Click here to see the complete information about Collectable British Military Cap Badge 10797 plus a complete set of Pictures. Click here to see the complete information about Collectable British Military Cap Badge 10368 plus a complete set of Pictures. Click here to see the complete information about Collectable British Military Cap Badge 10363 plus a complete set of Pictures. Click here to see the complete information about Collectable British Military Cap Badge 11567 plus a complete set of Pictures. Click here to see the complete information about Collectable British Military Badge plus a complete set of Pictures. Click here to see the complete information about Collectable British Military Cap Badge 10362 plus a complete set of Pictures. Click here to see the complete information about Collectable British Military Badge 11628 plus a complete set of Pictures. 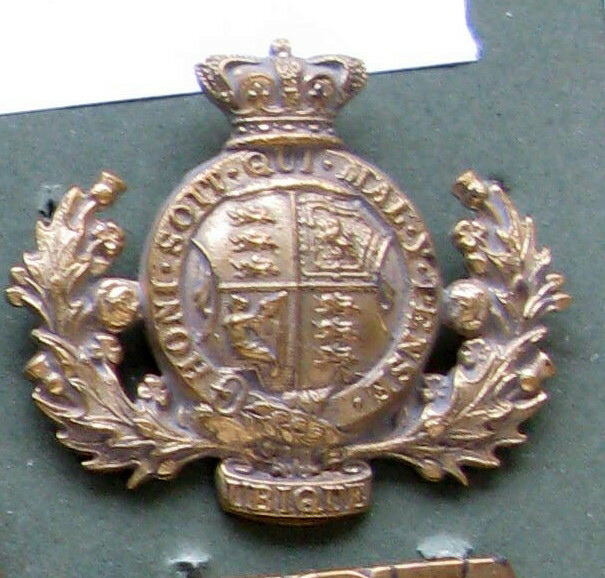 Click here to see the complete information about Collectable British Military Cap Badge 11456 plus a complete set of Pictures. Click here to see the complete information about Collectable British Military Cap Badge 10899 plus a complete set of Pictures. Click here to see the complete information about Collectable British Military Cap Badge 10812 plus a complete set of Pictures. Click here to see the complete information about Collectable British Military Cap Badge 10319 plus a complete set of Pictures. 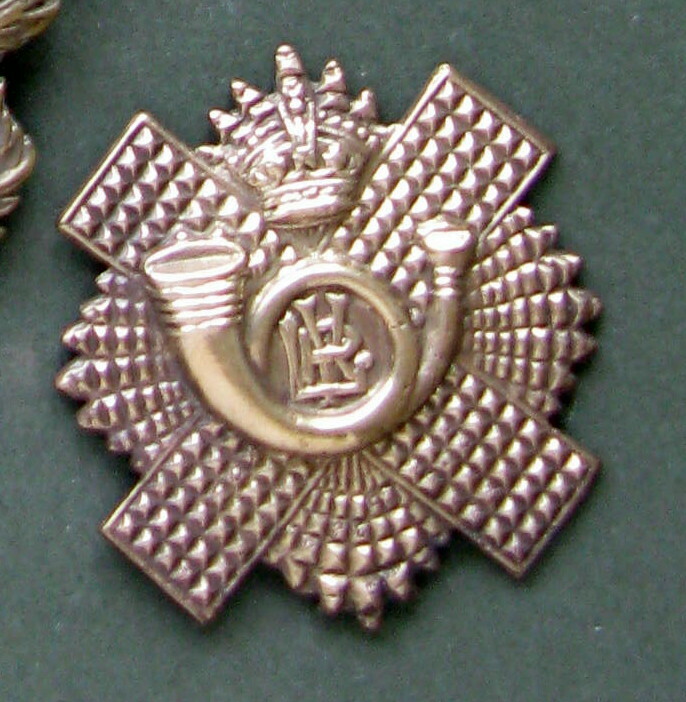 Click here to see the complete information about Collectable British Military Cap Badge 9422 plus a complete set of Pictures. 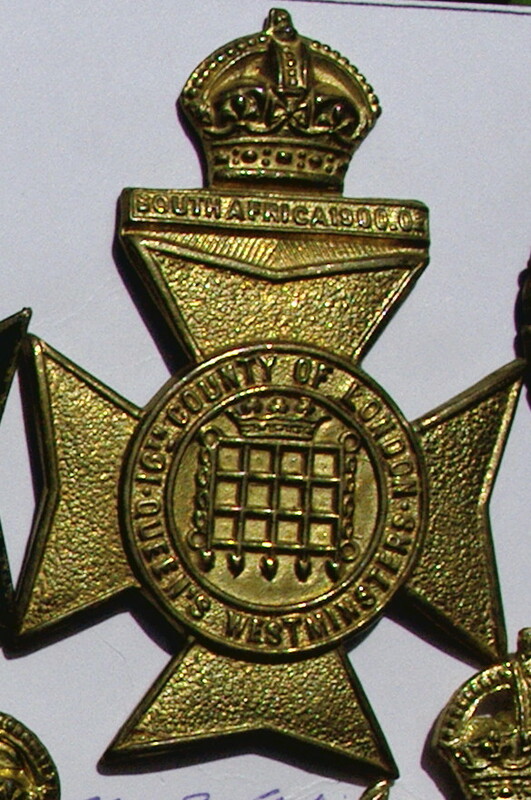 Click here to see the complete information about Collectable British Military Cap Badge 9424 plus a complete set of Pictures. 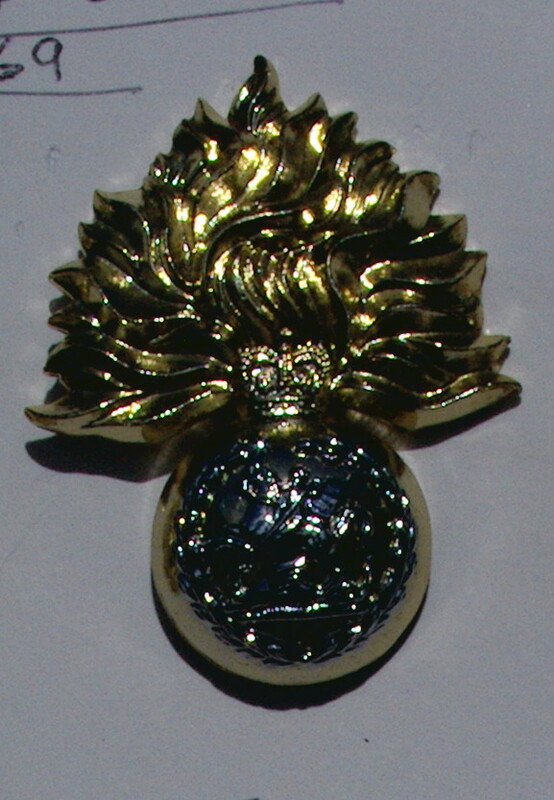 Click here to see the complete information about Collectable British Military Cap Badge 9420 plus a complete set of Pictures. Click here to see the complete information about Collectable British Military Cap Badge 9419 plus a complete set of Pictures. Click here to see the complete information about Collectable British Military Cap Badge 10361 plus a complete set of Pictures. 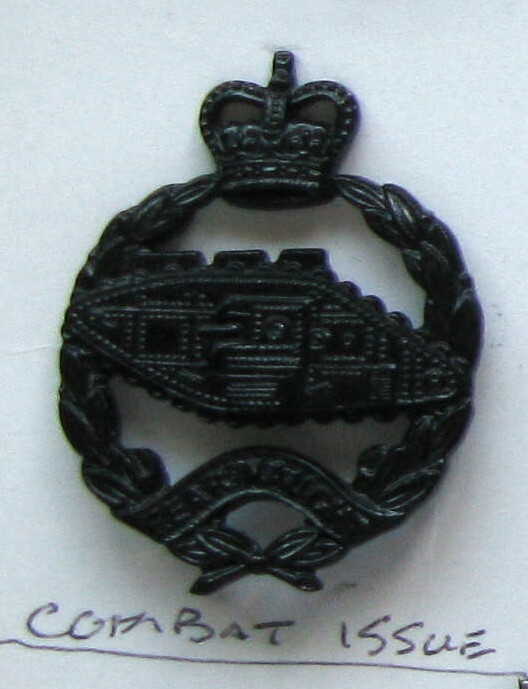 Click here to see the complete information about Collectable British Military Badge Marine 7937 plus a complete set of Pictures. Click here to see the complete information about Collectable British Military Cap Badge 9721 plus a complete set of Pictures. Click here to see the complete information about Collectable British Military Badge 9037 plus a complete set of Pictures. Click here to see the complete information about Collectable British Military Cap Badge 10087 plus a complete set of Pictures. Click here to see the complete information about Collectable British Military Cap Badge 9725 plus a complete set of Pictures. Click here to see the complete information about Collectable British Military Cap Badge10063 plus a complete set of Pictures. Click here to see the complete information about Collectable British Military Cap Badge 9765 plus a complete set of Pictures. Click here to see the complete information about Collectable British Military Cap Badge 10055 plus a complete set of Pictures. Click here to see the complete information about Collectable British Military Cap Badge 10364 plus a complete set of Pictures. Click here to see the complete information about Collectable British Military Badge 10096 plus a complete set of Pictures. Click here to see the complete information about Collectable British Military Cap Badge 10376 plus a complete set of Pictures. Click here to see the complete information about Collectable British Military Cap Badge 10380 plus a complete set of Pictures. Click here to see the complete information about Collectable British Military Cap Badge 10367 plus a complete set of Pictures. Click here to see the complete information about Collectable British Military Cap Badge 10365 plus a complete set of Pictures. Click here to see the complete information about Collectable British Military Badge 10100 plus a complete set of Pictures. Click here to see the complete information about Collectable British Military Badge10097 plus a complete set of Pictures. Click here to see the complete information about Collectable British Military Cap Badge 10381 plus a complete set of Pictures. Click here to see the complete information about Collectable British Military Badge 10098 plus a complete set of Pictures. Click here to see the complete information about Collectable British Military Badge 10099 plus a complete set of Pictures. Click here to see the complete information about Collectable British Military Badge 10103 plus a complete set of Pictures. Click here to see the complete information about Collectable British Military Cap Badge 10289 plus a complete set of Pictures. Click here to see the complete information about Collectable British Military Badge 11453 plus a complete set of Pictures. Click here to see the complete information about Collectable British Military Cap Badge 11463 plus a complete set of Pictures. Click here to see the complete information about Collectable British Military Badge 11620 plus a complete set of Pictures. Click here to see the complete information about Collectable British Military Badge 11621 plus a complete set of Pictures. Click here to see the complete information about Collectable British Military Cap Badge 10084 plus a complete set of Pictures. Click here to see the complete information about Collectable British Military Badge 11684 plus a complete set of Pictures. Click here to see the complete information about Collectable British Military Cap Badge 11462 plus a complete set of Pictures. 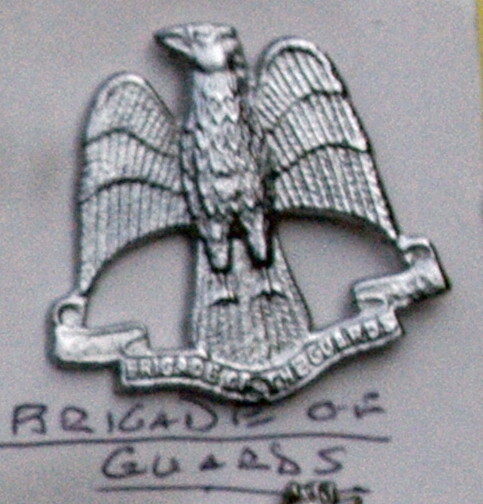 Click here to see the complete information about Collectable British Military Cap Badge 11455 plus a complete set of Pictures. 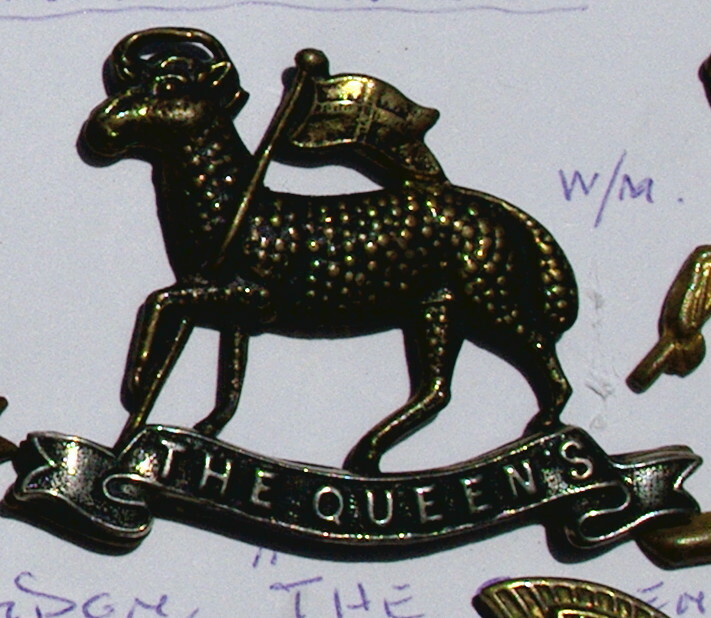 Click here to see the complete information about Collectable British Military Cap Badge 10664 plus a complete set of Pictures. Click here to see the complete information about Collectable Australian Military Cap Badge 10602 plus a complete set of Pictures. Click here to see the complete information about Collectable British Military Cap Badge #10709 plus a complete set of Pictures. Click here to see the complete information about Collectable British Military Cap Badge 10799 plus a complete set of Pictures. Click here to see the complete information about Collectable British Military Badge 10845 plus a complete set of Pictures. Click here to see the complete information about Collectable British Military Cap Badge10383 plus a complete set of Pictures. Click here to see the complete information about Collectable British Military Cap Badge 10296 plus a complete set of Pictures. Click here to see the complete information about Collectable British Military Cap Badge 9282 plus a complete set of Pictures. Click here to see the complete information about Collectable British Military Cap Badge 9222 plus a complete set of Pictures. Click here to see the complete information about Collectable British Military Cap Badge 9359 plus a complete set of Pictures. Click here to see the complete information about Collectable British Military Cap Badge 9473 plus a complete set of Pictures. Click here to see the complete information about Collectable British Military Cap Badge 9478 plus a complete set of Pictures. 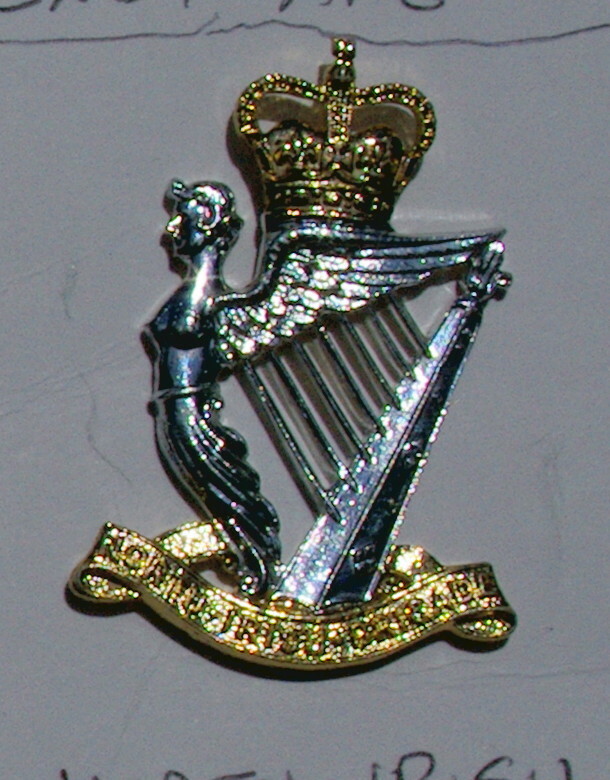 Click here to see the complete information about Collectable British Military Cap Badge 9477 plus a complete set of Pictures. Click here to see the complete information about Collectable British Military Cap Badge 9218 plus a complete set of Pictures. Click here to see the complete information about Collectable British Military Cap Badge 9129 plus a complete set of Pictures. 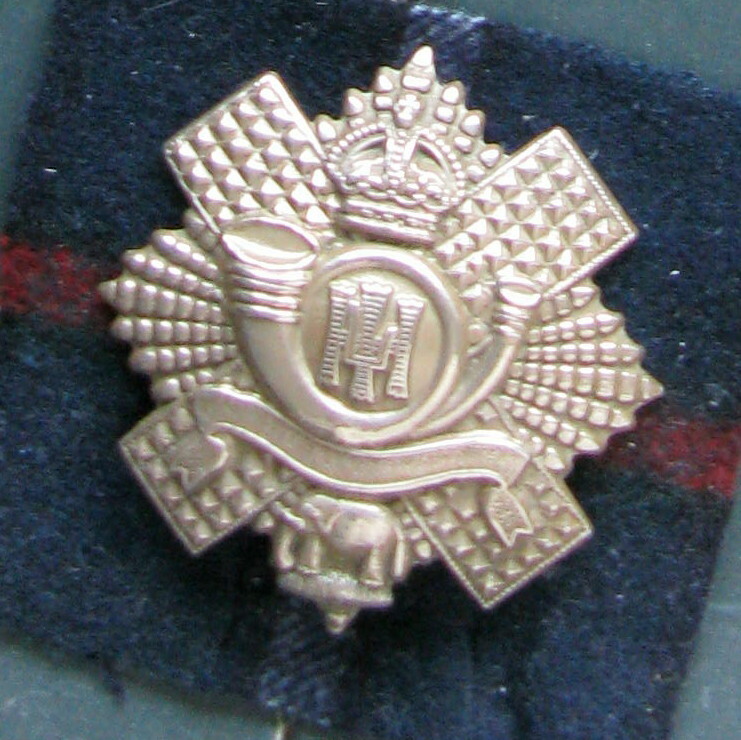 Click here to see the complete information about Collectable British Military Cap Badge Hampshire 8443 plus a complete set of Pictures. Click here to see the complete information about Collectable British Military Cap Badge 10081 plus a complete set of Pictures. 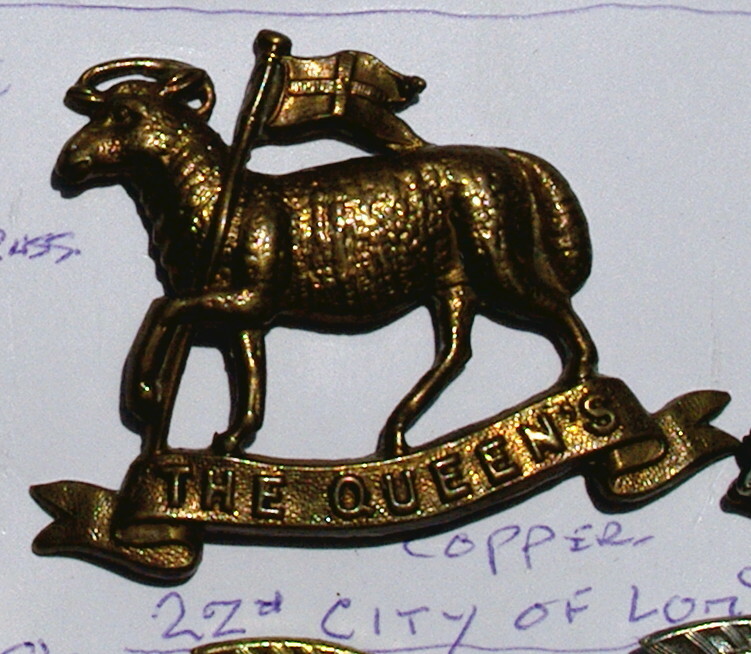 Click here to see the complete information about Collectable British Military Cap Badge RFC 7784 plus a complete set of Pictures. 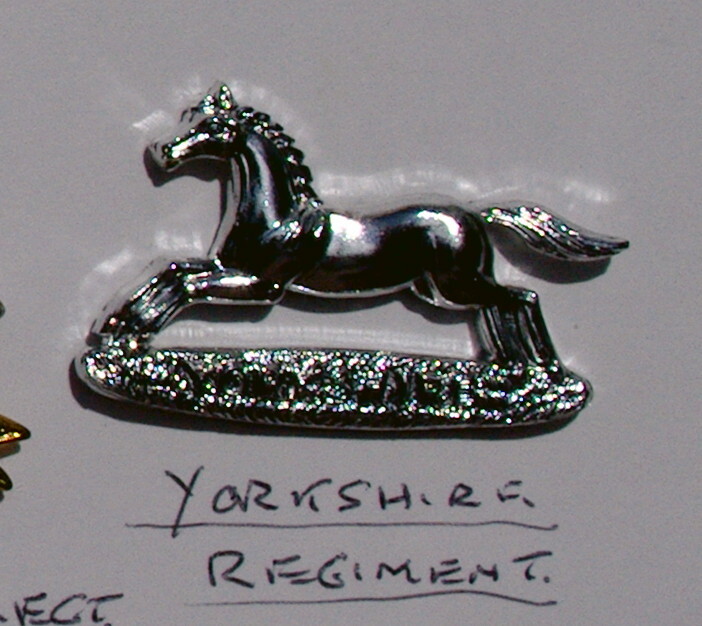 Click here to see the complete information about Collectable British Military Badge Horse 9075 plus a complete set of Pictures. Click here to see the complete information about Collectable British Military Cap Badge 9126 plus a complete set of Pictures. Click here to see the complete information about Collectable British Military Badge 9480 plus a complete set of Pictures. Click here to see the complete information about Collectable Vintage Military Button Royal Marines 7771 plus a complete set of Pictures. Click here to see the complete information about Collectable British Military Cap Badge 9757 plus a complete set of Pictures. Click here to see the complete information about Collectable British Military Cap Badge 9724 plus a complete set of Pictures. Click here to see the complete information about Collectable British Military Cap Badge 9758 plus a complete set of Pictures. Click here to see the complete information about Collectable British Military Cap Badge10017 plus a complete set of Pictures. Click here to see the complete information about Collectable Vintage Gurkha Indian Army Badge 9579 plus a complete set of Pictures. Click here to see the complete information about Collectable British Military Cap Badge 9723 plus a complete set of Pictures. Click here to see the complete information about Collectable British Military Cap Badge 9759 plus a complete set of Pictures. 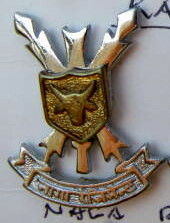 Click here to see the complete information about Collectable Vintage Indian Army Badge 9585 plus a complete set of Pictures. Click here to see the complete information about Collectable Vintage Indian Army Badge 9667 plus a complete set of Pictures. 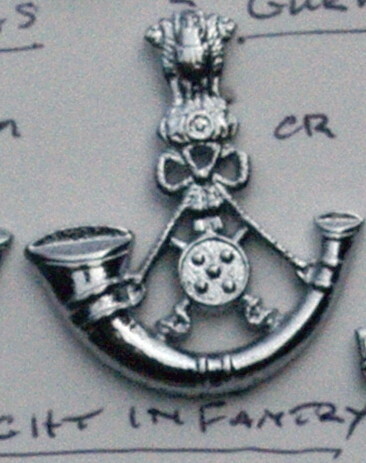 Click here to see the complete information about Collectable Vintage Indian Army Badge 9588 plus a complete set of Pictures. 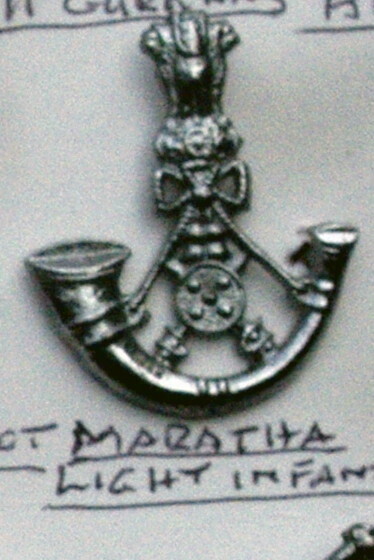 Click here to see the complete information about Collectable Vintage Indian Army Badge 9583 plus a complete set of Pictures. 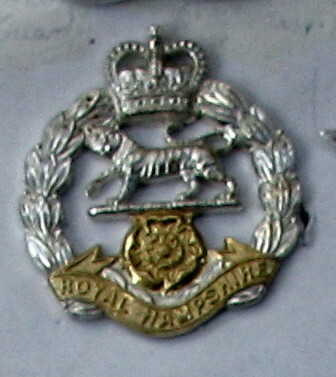 This metal badge measures 30mm x 24mm and is white metal with a brass shield it was made for The Naga Regiment The Naga Regiment is the youngest Regiment of the Indian Army. 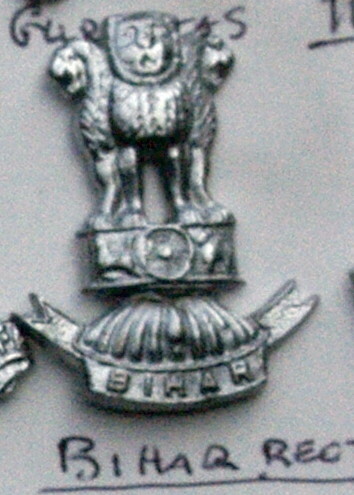 In 1970, the First Battalion of the Naga Regiment was raised in Ranikhet. 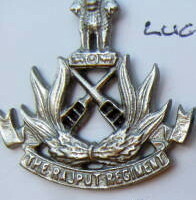 Click here to see the complete information about Collectable Vintage Indian Army Badge 9631 plus a complete set of Pictures. Click here to see the complete information about Collectable Vintage Indian Army Badge 9589 plus a complete set of Pictures. Click here to see the complete information about Collectable Vintage Military Button Dental 9102 plus a complete set of Pictures. Click here to see the complete information about Collectable British Military Cap Badge 10156 plus a complete set of Pictures. Click here to see the complete information about Collectable British Military Cap Badge 10188 plus a complete set of Pictures. Click here to see the complete information about Collectable British Military Cap Badge 10190 plus a complete set of Pictures. 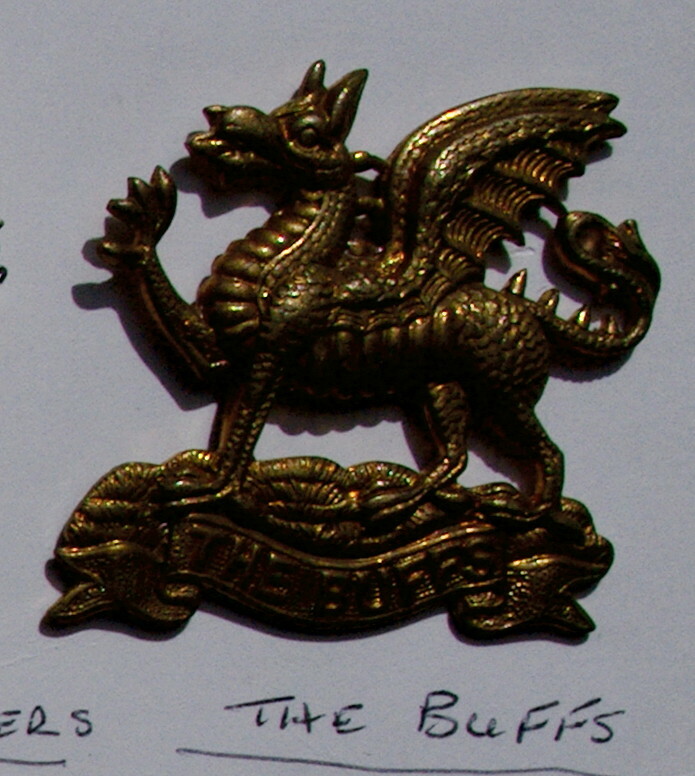 Click here to see the complete information about Collectable British Military Cap Badge 10666 plus a complete set of Pictures. Click here to see the complete information about Collectable British Military Cap Badge10155 plus a complete set of Pictures. 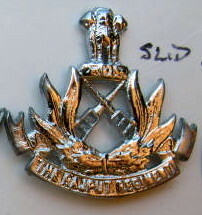 Click here to see the complete information about Collectable Vintage Indian Army Badge 9597 plus a complete set of Pictures. 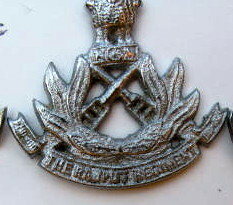 Click here to see the complete information about Collectable Vintage Indian Army Badge 9592 plus a complete set of Pictures. Click here to see the complete information about Collectable British Military Cap Badge 10704 plus a complete set of Pictures. 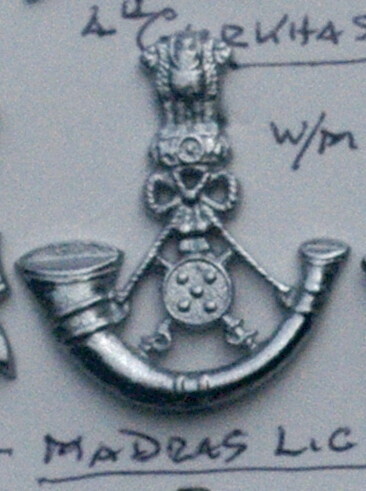 Click here to see the complete information about Collectable Vintage Indian Army Badge 9598 plus a complete set of Pictures. Click here to see the complete information about Collectable British Military Cap Badge 10703 plus a complete set of Pictures. 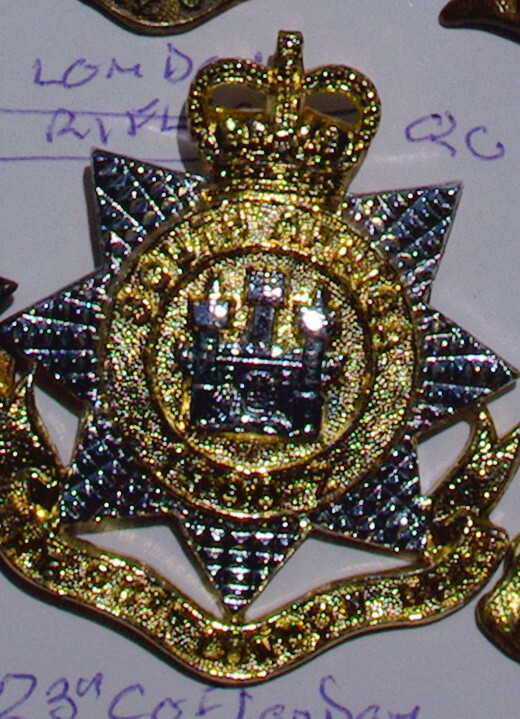 Click here to see the complete information about Collectable British Military Cap Badge 9967 plus a complete set of Pictures. Click here to see the complete information about Collectable British Military Cap Badge 10896 plus a complete set of Pictures. 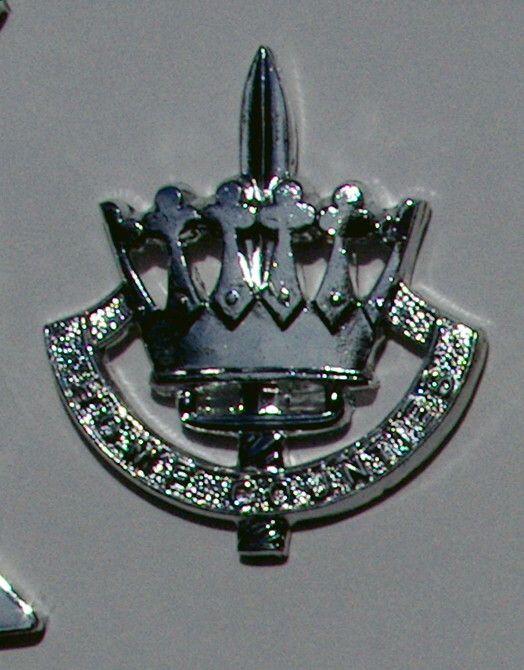 Click here to see the complete information about Collectable British Army Collar Badge 11057 plus a complete set of Pictures. Click here to see the complete information about Collectable British Military Cap Badge 10897 plus a complete set of Pictures. Click here to see the complete information about Collectable British Military Badge 11626 plus a complete set of Pictures. Click here to see the complete information about Collectable British Military Badge 11627 plus a complete set of Pictures. 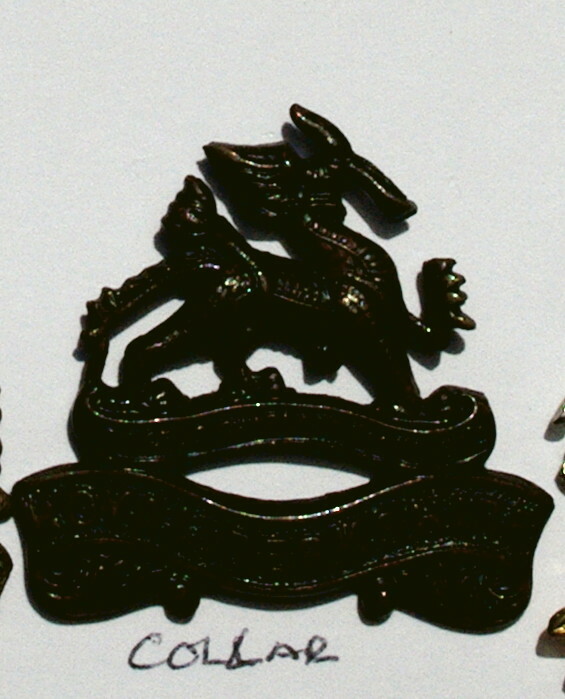 Click here to see the complete information about Collectable Vintage Military Badge Welsh Regiment 9370 plus a complete set of Pictures. Click here to see the complete information about Collectable British Military Cap Badge 10895 plus a complete set of Pictures. Click here to see the complete information about Collectable Military Shoulder Title 10875 plus a complete set of Pictures. Click here to see the complete information about Collectable British Military Cap Badge 10770 plus a complete set of Pictures. Click here to see the complete information about Collectable British Military Badge 10800 plus a complete set of Pictures. 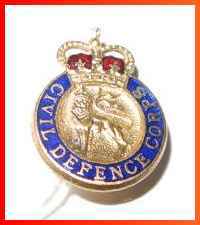 Click here to see the complete information about Collectable British Military Collar Badge 10822 plus a complete set of Pictures. 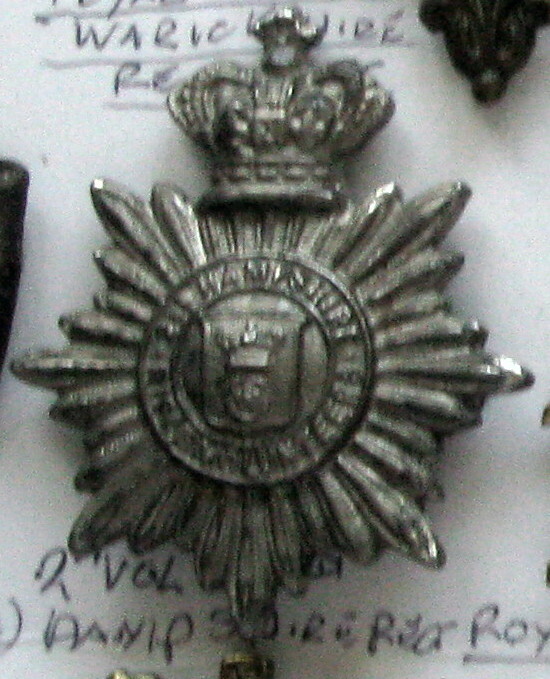 Click here to see the complete information about Collectable Victorian Cap Badge10846 plus a complete set of Pictures. Click here to see the complete information about Collectable British Military Cap Badge 10705 plus a complete set of Pictures. Click here to see the complete information about Collectable British Military Cap Badge 9360 plus a complete set of Pictures. Click here to see the complete information about Collectable British Military Cap Badge 6977 plus a complete set of Pictures. Click here to see the complete information about Collectable British Military Cap Badge 6976 plus a complete set of Pictures. 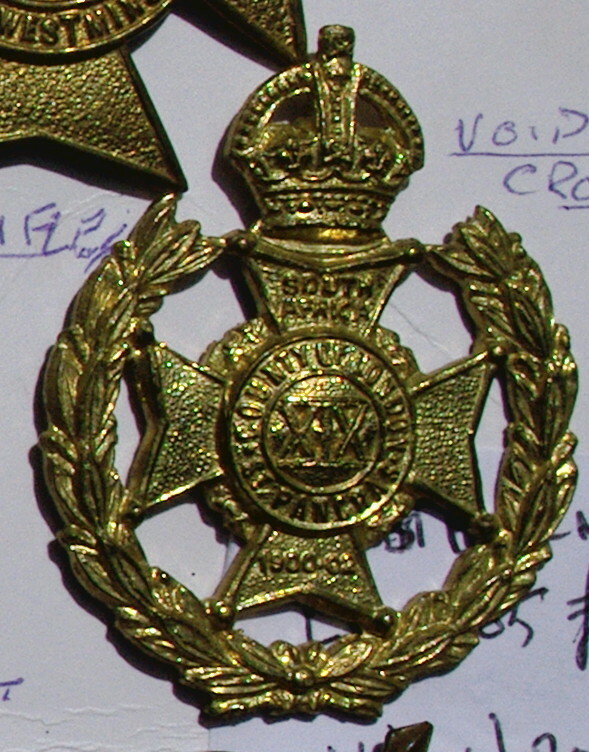 Click here to see the complete information about Collectable British Military Cap Badge 9041 plus a complete set of Pictures. Click here to see the complete information about Collectable British Military Cap Badge RE 9042 plus a complete set of Pictures. 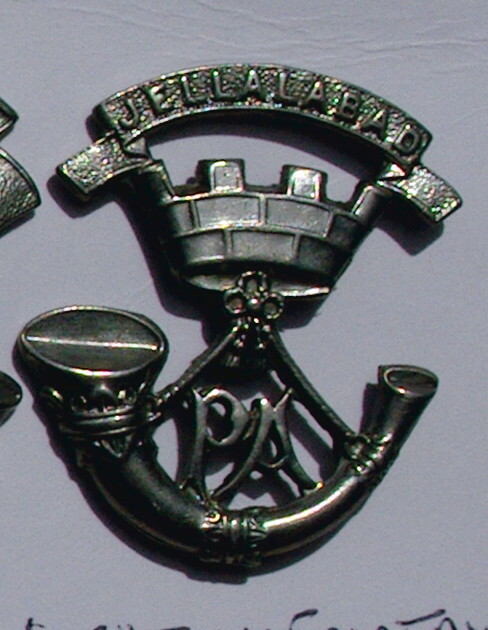 Click here to see the complete information about Collectable British Military Cap Badge Welch 9044 plus a complete set of Pictures. Click here to see the complete information about Collectable Vintage Military Badge Ordnance Corps 6663 plus a complete set of Pictures. 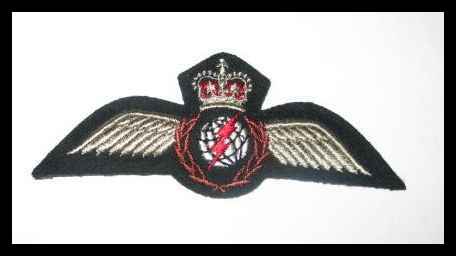 Click here to see the complete information about Militar Canadian Airforce Air Electronic Officer Brevet plus a complete set of Pictures. Click here to see the complete information about Collectable Vintage Military Badge RASC 9365 plus a complete set of Pictures. Click here to see the complete information about Collectable Vintage Sweetheart Badge .6666 plus a complete set of Pictures. 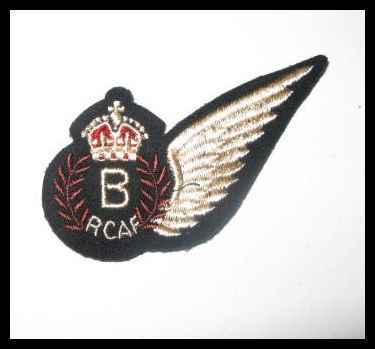 Click here to see the complete information about Military Canadian Airforce Bomb Aimers Brevet plus a complete set of Pictures. 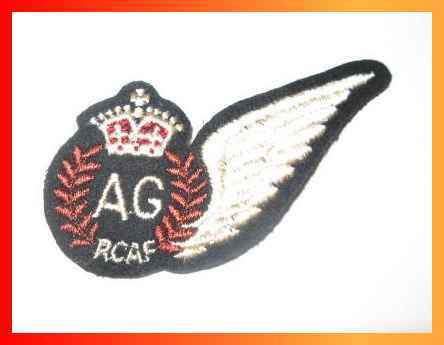 Click here to see the complete information about Military Royal Canadian Airforce Air Gunners Brevet plus a complete set of Pictures. Click here to see the complete information about Collectable British Military Cap Badge 9071 plus a complete set of Pictures. 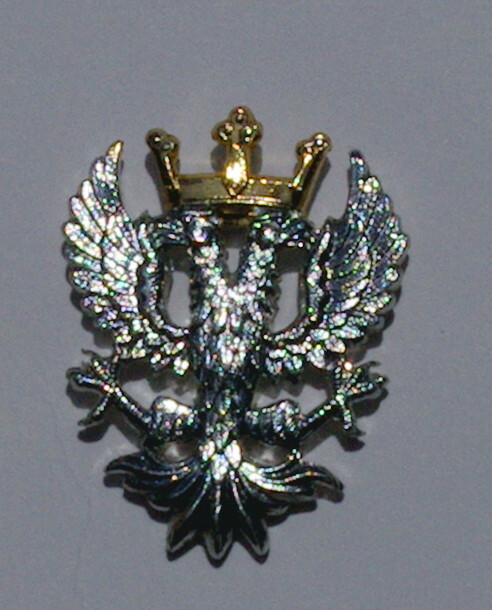 Click here to see the complete information about Collectable British Military Cap Badge R A 9040 plus a complete set of Pictures. Click here to see the complete information about Collectable British Military Cap Badge 9216 plus a complete set of Pictures. 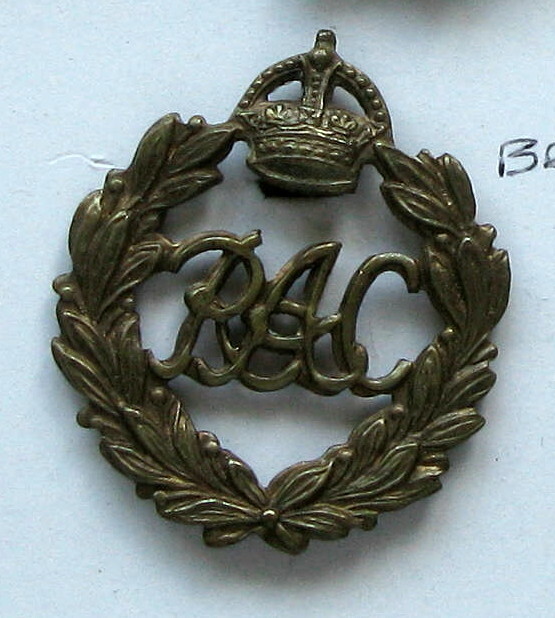 Click here to see the complete information about Collectable British Military Cap Badge RAOC 9133 plus a complete set of Pictures. Click here to see the complete information about Collectable Vintage Military Button 9310 plus a complete set of Pictures. Click here to see the complete information about Collectable British Military Cap Badge Signals 9090 plus a complete set of Pictures. Click here to see the complete information about Collectable Vintage Military Badge Tank Regt 9364 plus a complete set of Pictures. Click here to see the complete information about Collectable British Military Cap Badge Medical 9107 plus a complete set of Pictures. Click here to see the complete information about Collectable Vintage Military Button 9322 plus a complete set of Pictures. Click here to see the complete information about Collectable British Military Cap Badge 9105 plus a complete set of Pictures. Click here to see the complete information about Collectable Vintage Military Button RMP 9103 plus a complete set of Pictures. Click here to see the complete information about Collectable British Military Cap Badge Education 9091 plus a complete set of Pictures. Click here to see the complete information about Collectable British Military Cap Badge 9104 plus a complete set of Pictures. Click here to see the complete information about Collectable British Military Badge 9368 plus a complete set of Pictures. 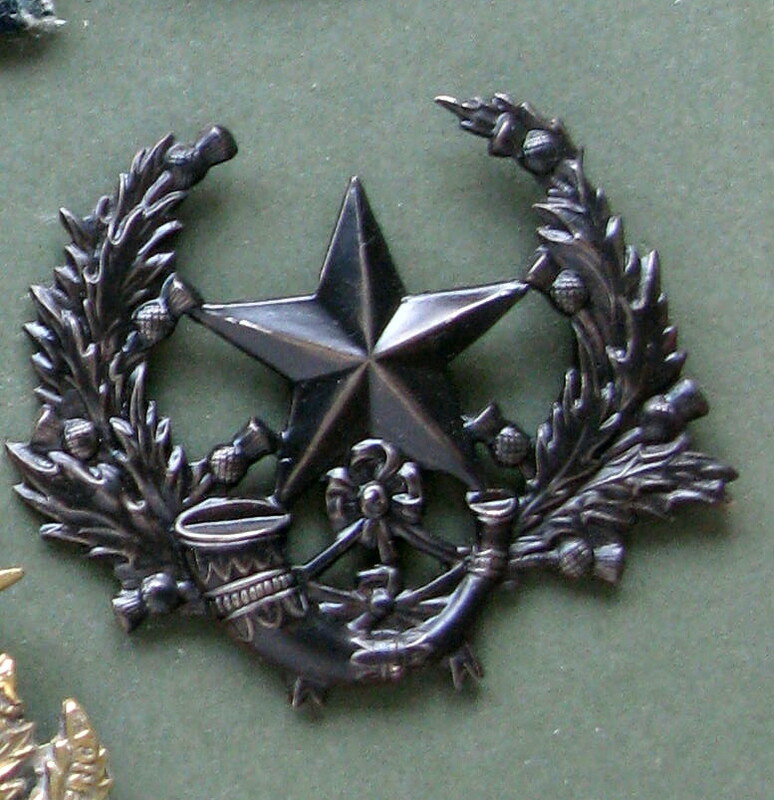 Click here to see the complete information about Collectable Vintage Military Badge 9369 plus a complete set of Pictures. Click here to see the complete information about Collectable Vintage Military Collar Badge 9319 plus a complete set of Pictures. Click here to see the complete information about Collectable Brass Red Cross Button 9467 plus a complete set of Pictures. Click here to see the complete information about Collectable British Military Cap Badge 9303 plus a complete set of Pictures. Click here to see the complete information about Collectable British Military Badge 10105 plus a complete set of Pictures. Click here to see the complete information about Collectable British Military Cap Badge 9230 plus a complete set of Pictures. Click here to see the complete information about Collectable Military Shoulder Title plus a complete set of Pictures. Click here to see the complete information about Collectable Vintage Military Button 9606 plus a complete set of Pictures. Click here to see the complete information about Collectable Vintage Bundeswehr Badge 9605 plus a complete set of Pictures. Click here to see the complete information about Collectable Vintage Canadian Military Button Hull 7223 plus a complete set of Pictures. 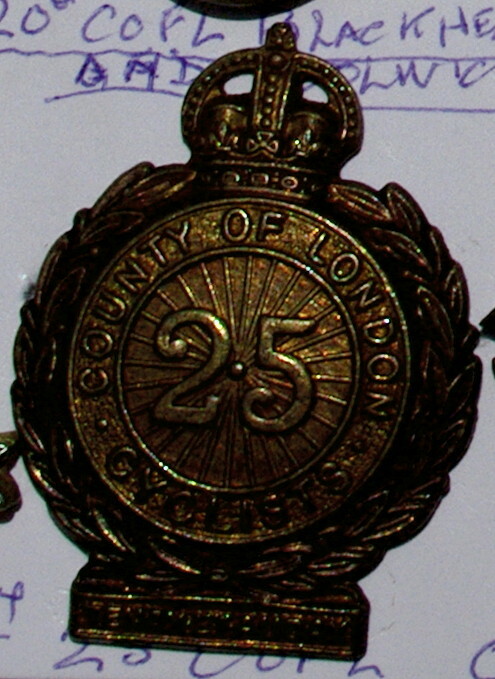 Click here to see the complete information about Collectable British Military Cap Badge 9225 plus a complete set of Pictures. 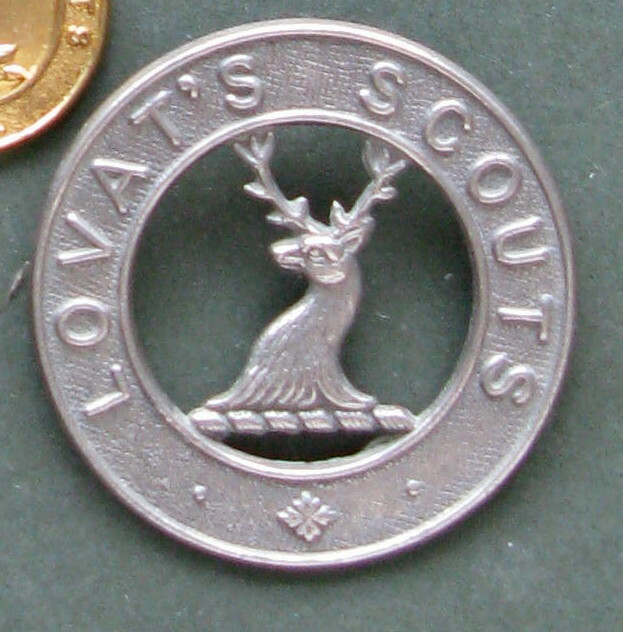 Click here to see the complete information about Collectable Vintage Military Button Lovats 8969 plus a complete set of Pictures. 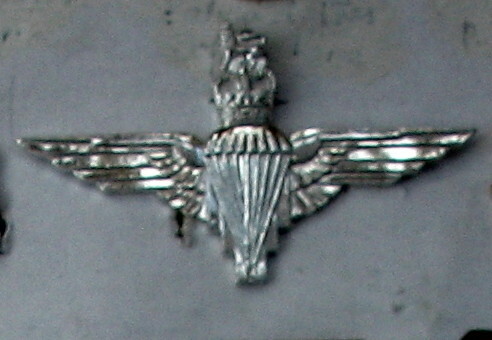 Click here to see the complete information about Collectable British Military Cap Badge Glider 8967 plus a complete set of Pictures. Click here to see the complete information about Collectable Vintage Military Collar Dog 9043 plus a complete set of Pictures. 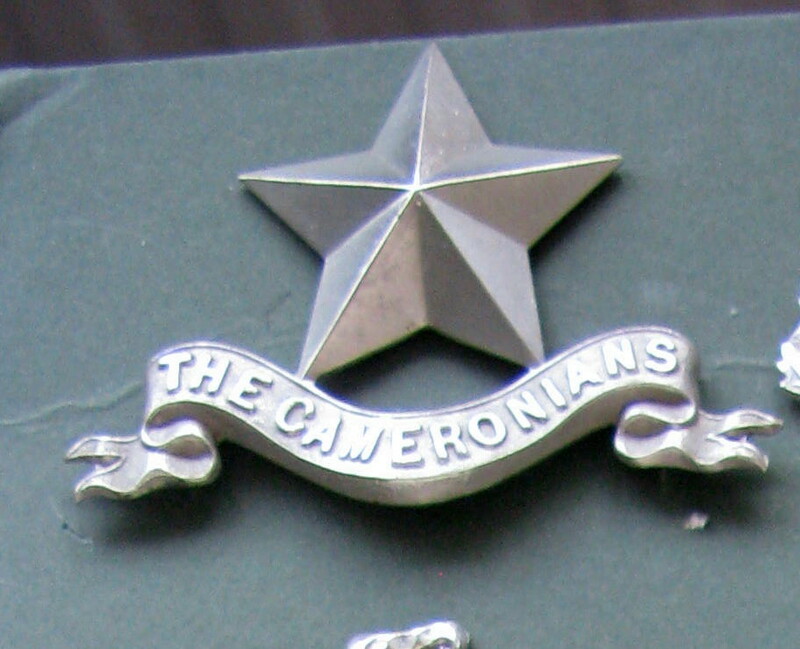 Click here to see the complete information about Collectable British Military Cap Badge AAC 8984 plus a complete set of Pictures. 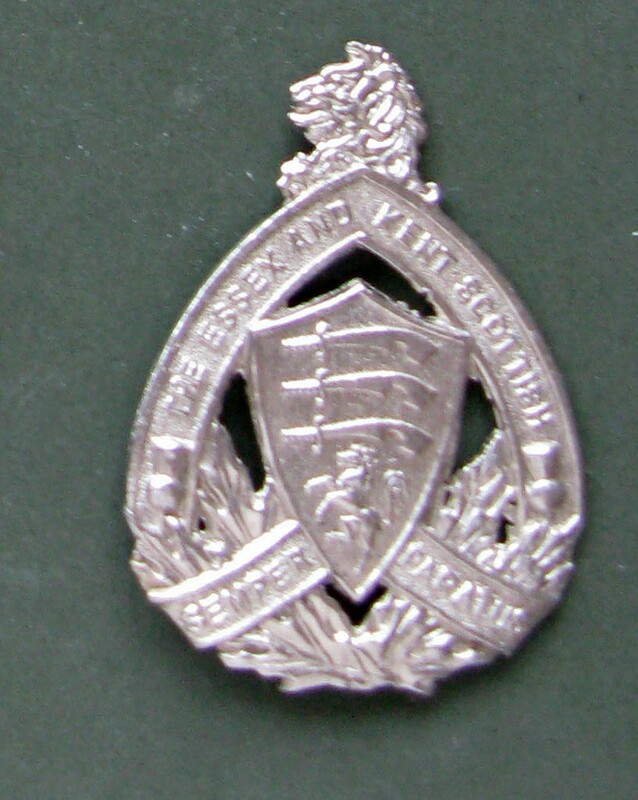 Click here to see the complete information about Collectable British Military Shoulder Title RE 9124 plus a complete set of Pictures. 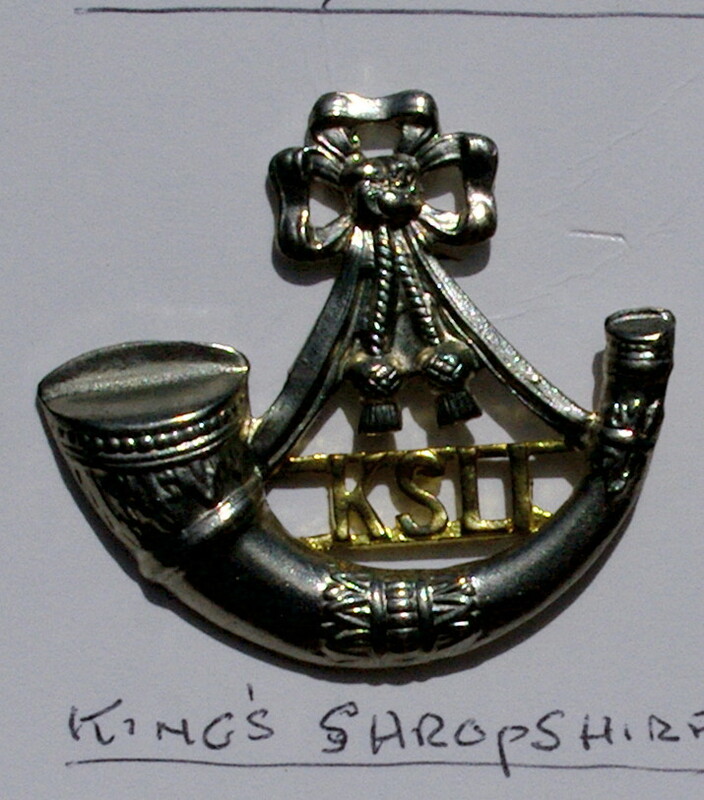 Click here to see the complete information about Collectable British Military Cap Badge Kings Royal Hussqars 9137 plus a complete set of Pictures. 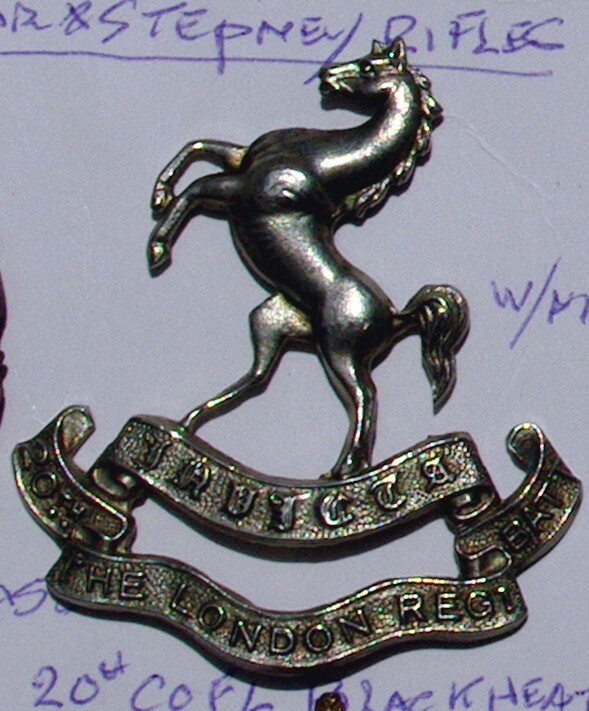 Click here to see the complete information about Collectable British Military Cap Badge Royal Hussars 9136 plus a complete set of Pictures. 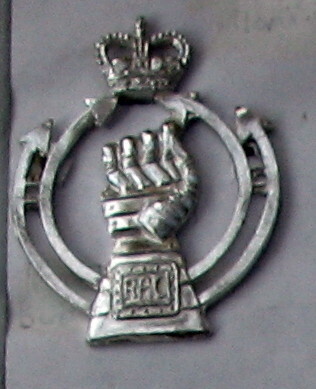 A Civil Defence Corps (CDC) lapel badge issued to their active members between 1953 and 1968 when the CDC was disbanded. 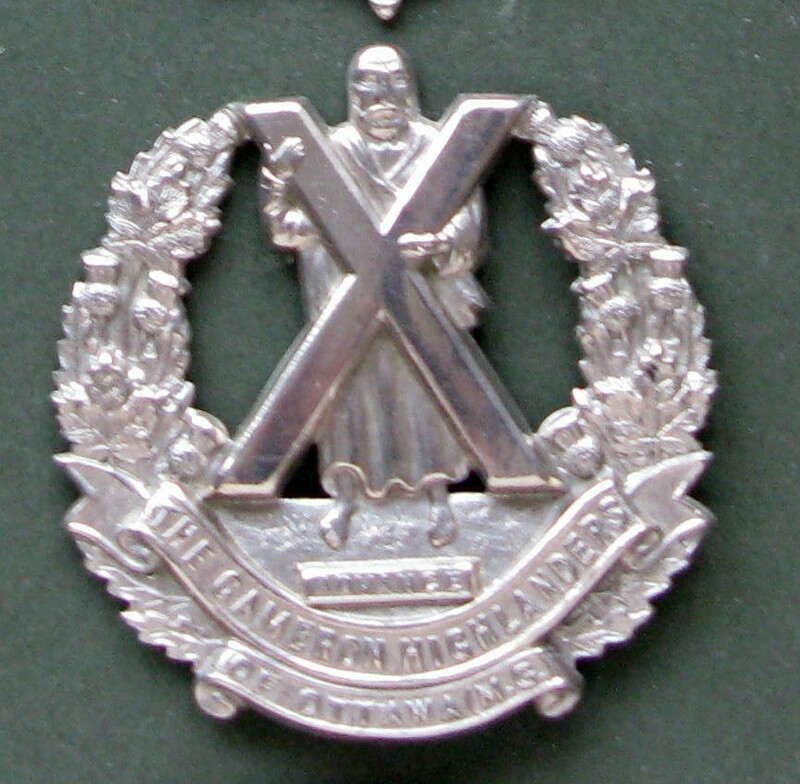 Membership numbers were always large and during their final year had close to 75,000 members in 1968. 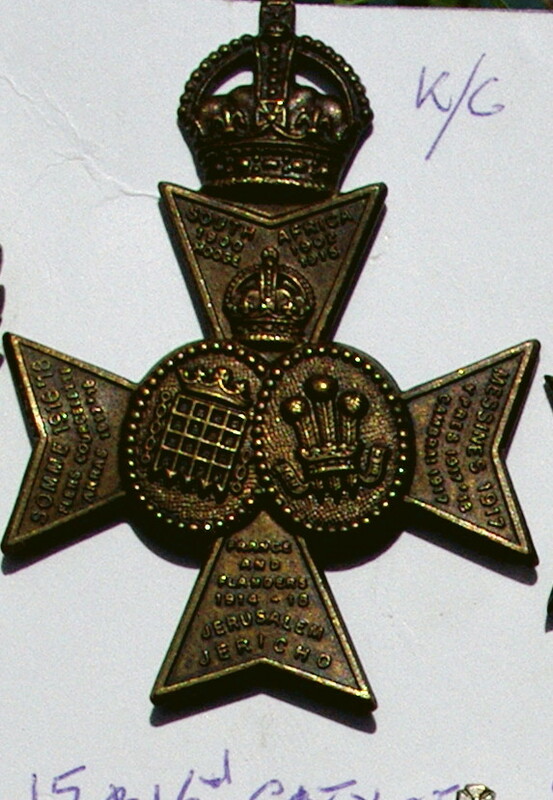 Click here to see the complete information about Collectable British Military Badge 9134 plus a complete set of Pictures. Click here to see the complete information about Canadian Shoulder Flash Royal Military College Canada plus a complete set of Pictures. Click here to see the complete information about Civil Defence Corps Metal Enamel Lapel Badge3 plus a complete set of Pictures. Click here to see the complete information about Collectable British Military Cap Badge 9692 plus a complete set of Pictures.